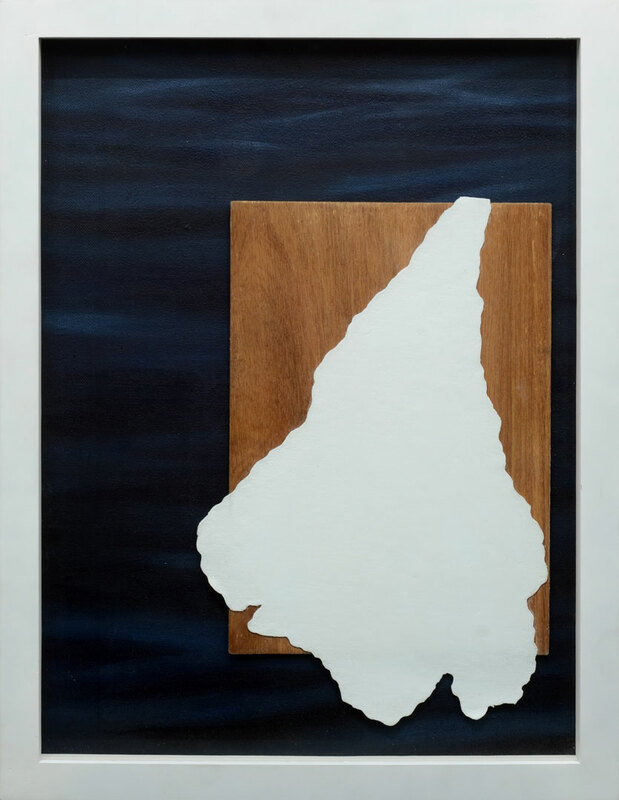 Some art shows border on the monumental and the climactic, moving the viewer with the scale and intensity of form. 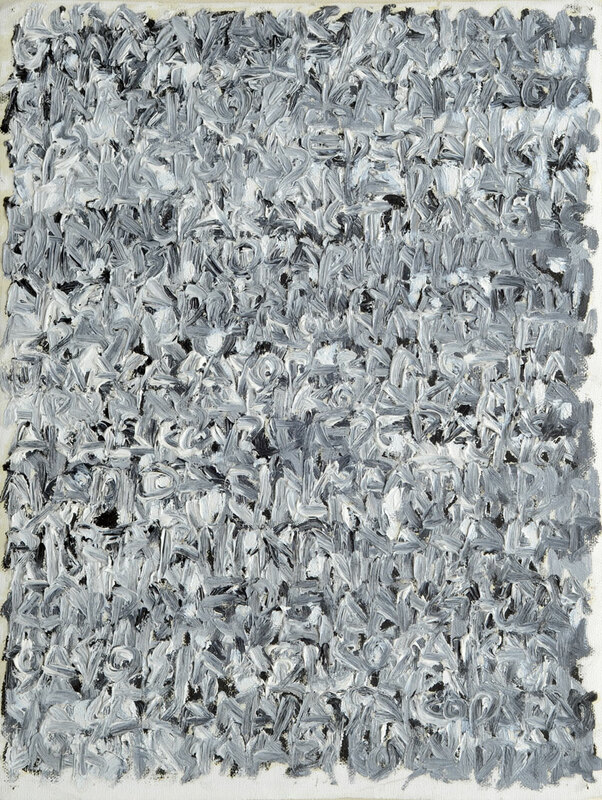 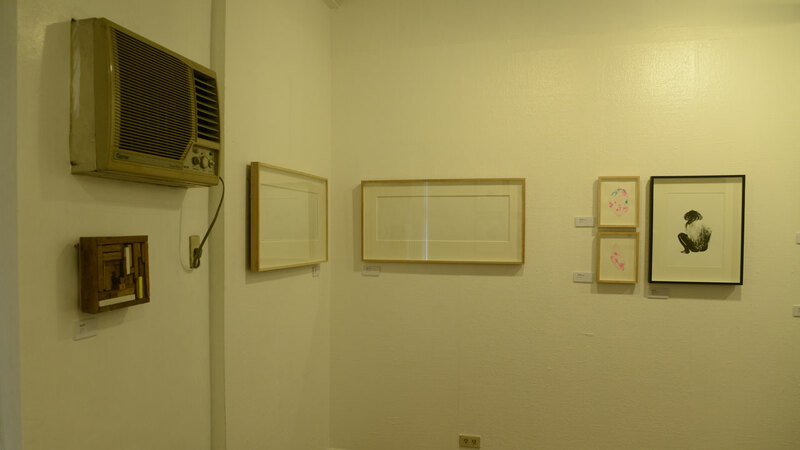 This exhibition, on the other hand, collates the quiet spaces in between: making visual the little interruptions and inceptions continually passing through one’s stream of consciousness. 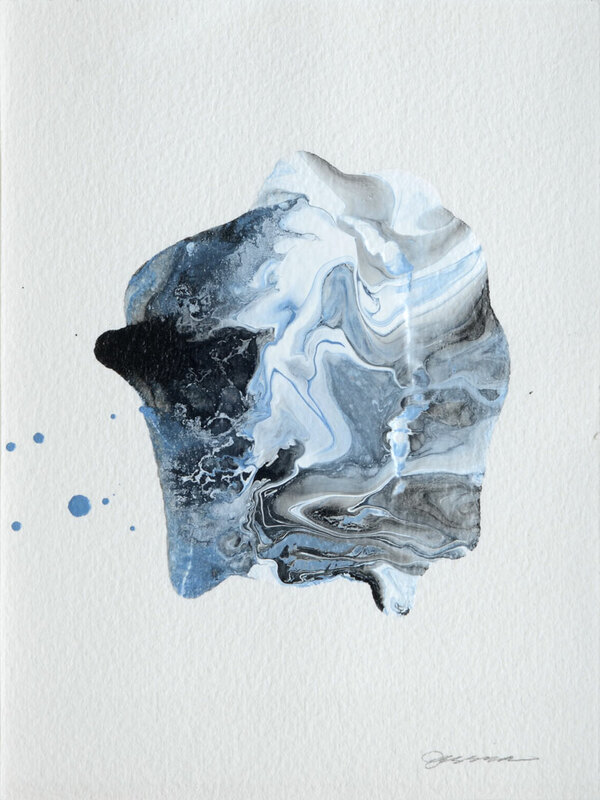 For the small moments of introspection are sometimes the most moving ones; and a sense of wonder can be gleaned from encounters with the everyday. 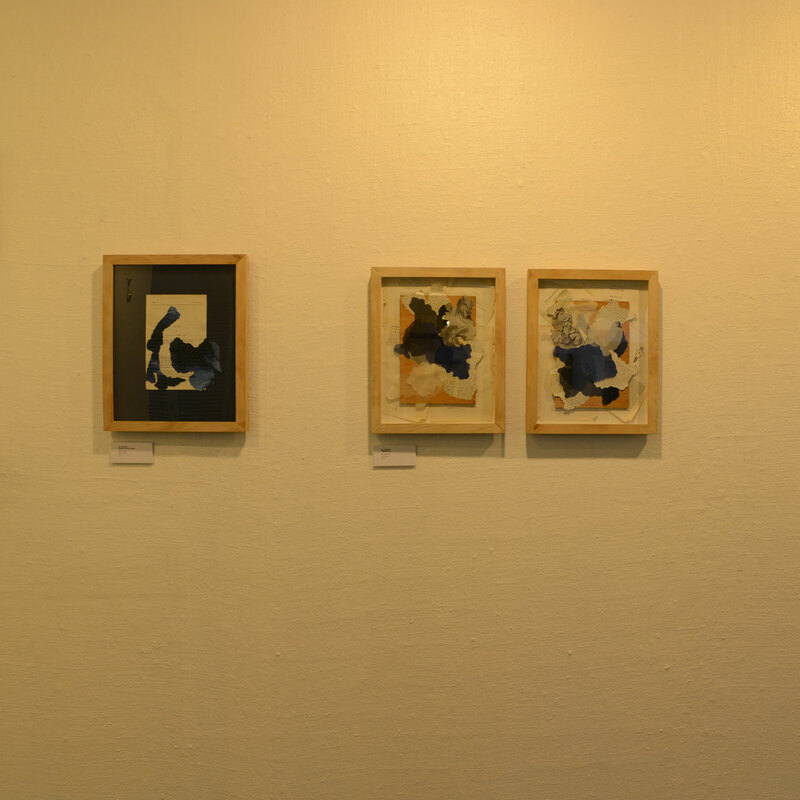 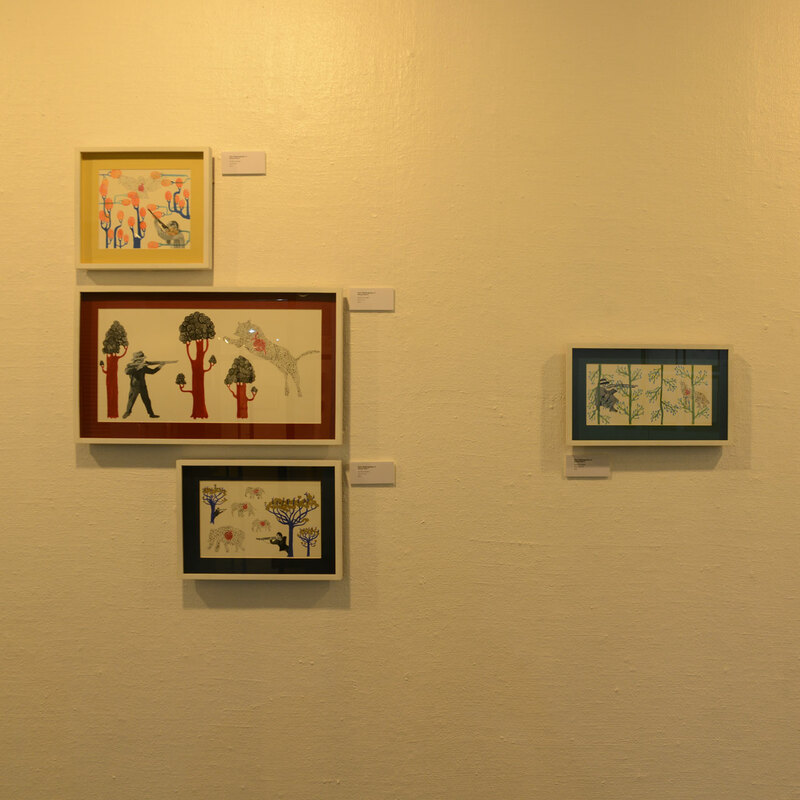 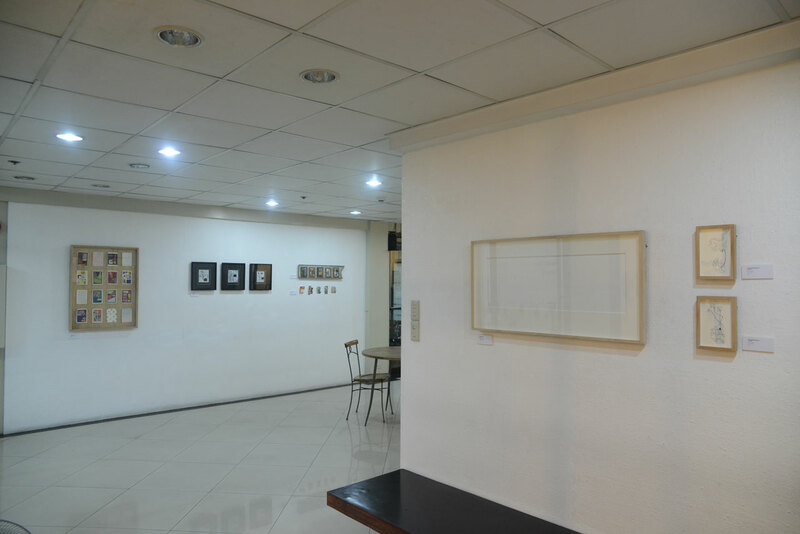 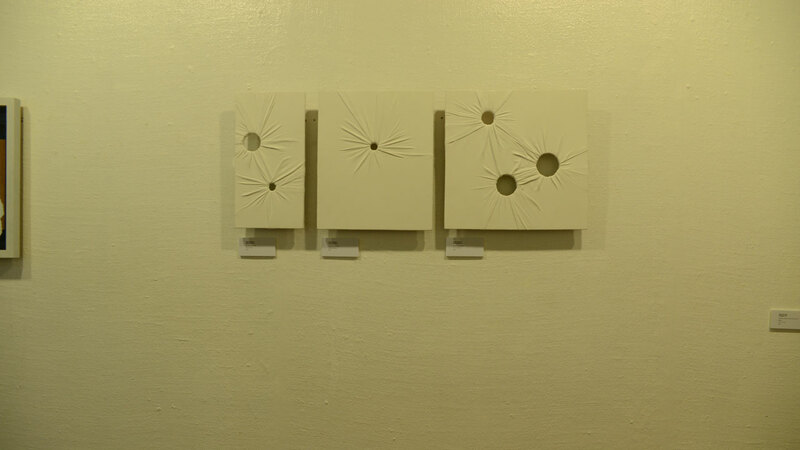 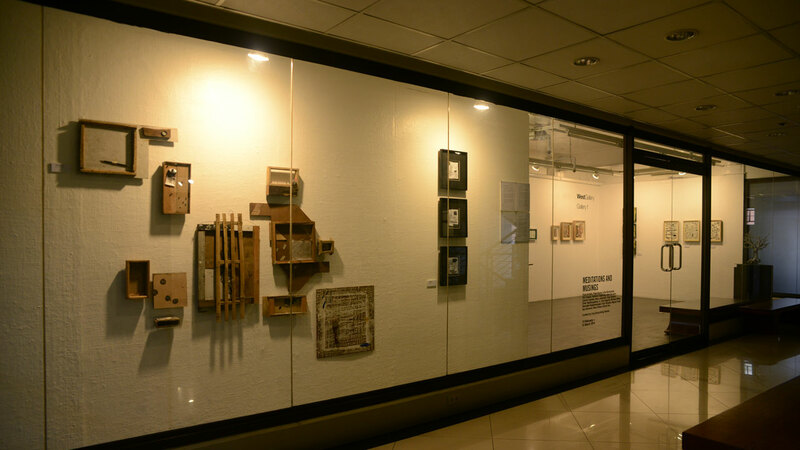 Curated by Ling Quisumbing Ramilo, Meditations and Musings is comprised of small works by studio arts majors of the University of the Philippines College of Fine Arts (UP CFA). 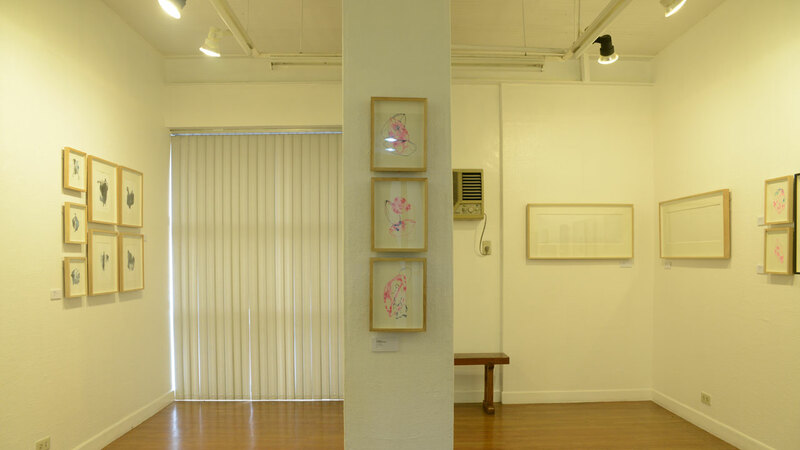 The show started out as a class exercise to create a hundred works as a means for exploring both concept and medium—an activity that Ramilo traces back to the late Roberto Chabet’s own pedagogical methods when he used to teach at the UP CFA. 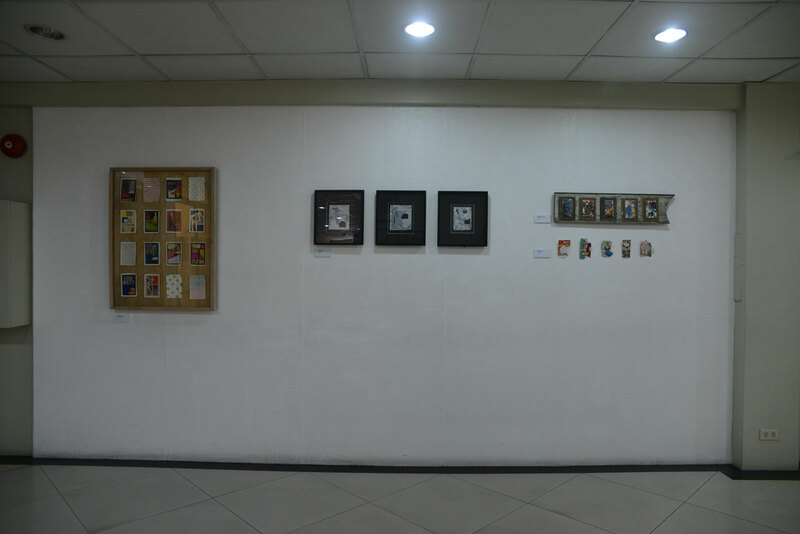 The works produced by these young artists in response to Quisumbing’s challenge reflect a flowing, yet distinctly discrete, progression of musings serving as markers of how each one has sought to expand the creative process. 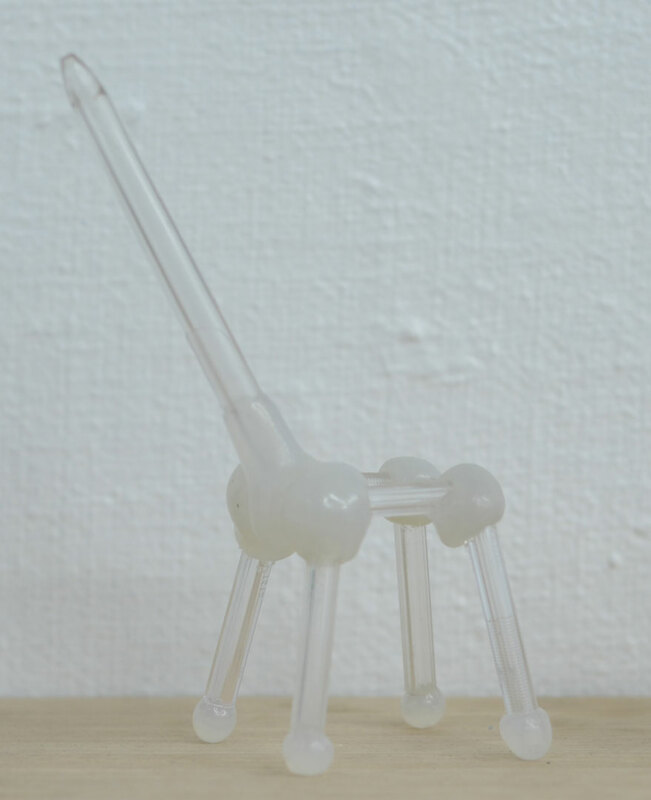 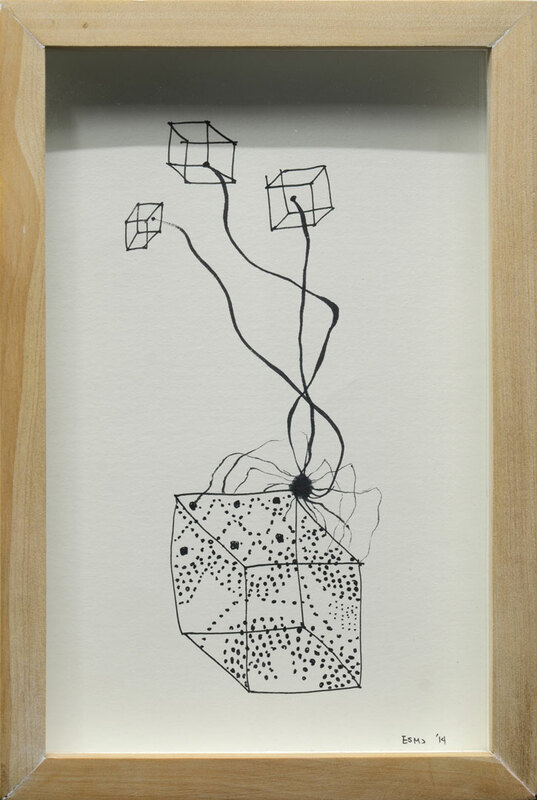 Meditative yet playful, they encompass a diverse array of media, themes and concepts—unified only in their spirit of both experimentation and introspection. 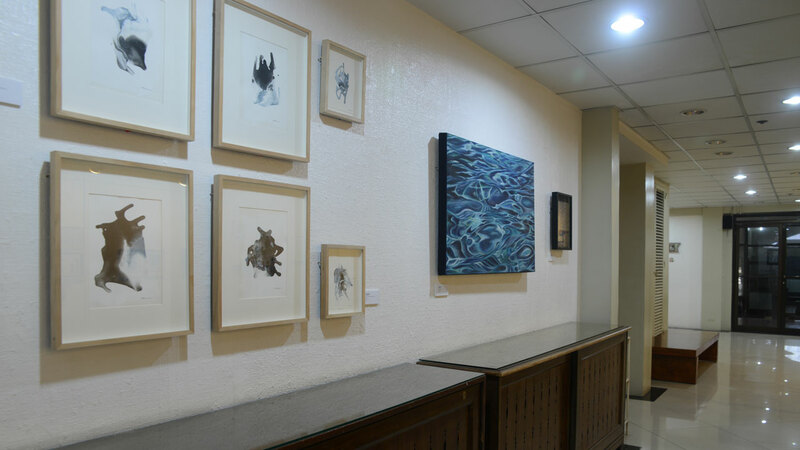 A significant number of works in the show chronicle the personal encounter with nature and the cosmos: reflecting on how the world beyond can mirror the interior landscapes of human psyche, thought and memory. 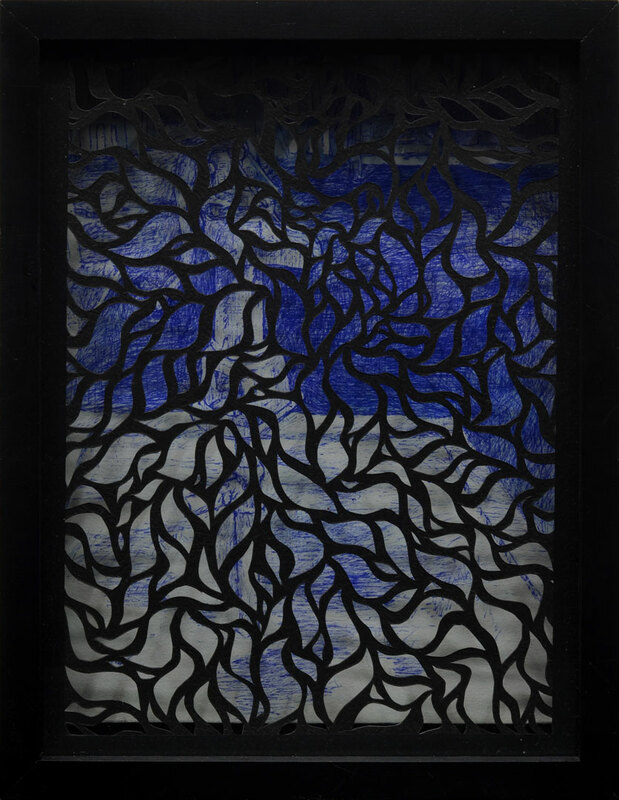 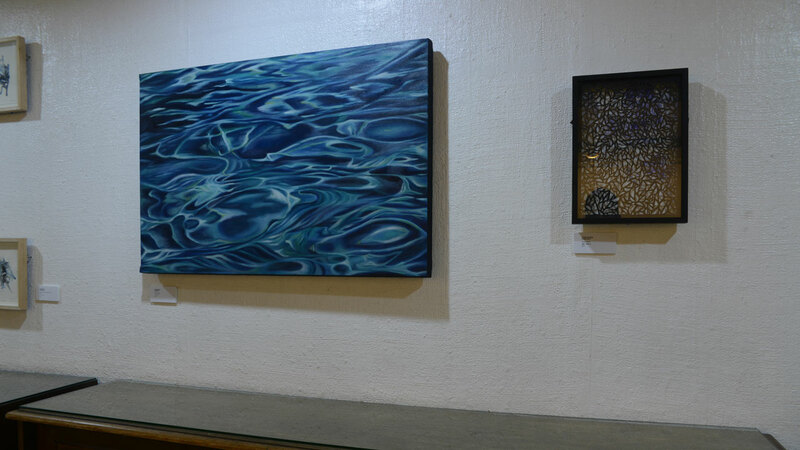 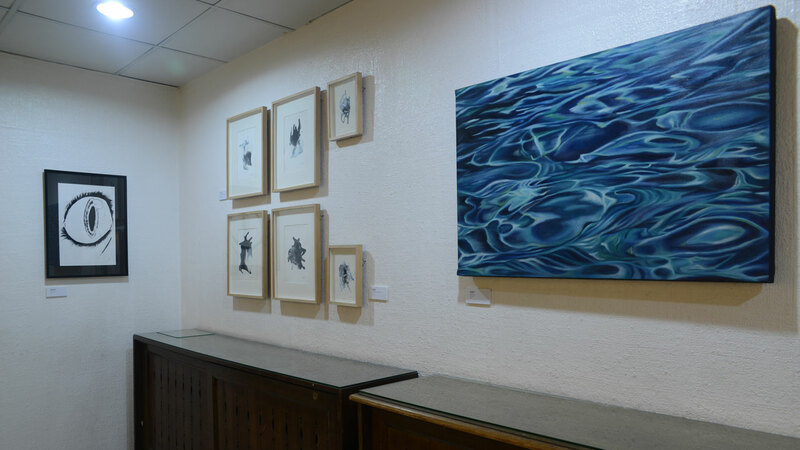 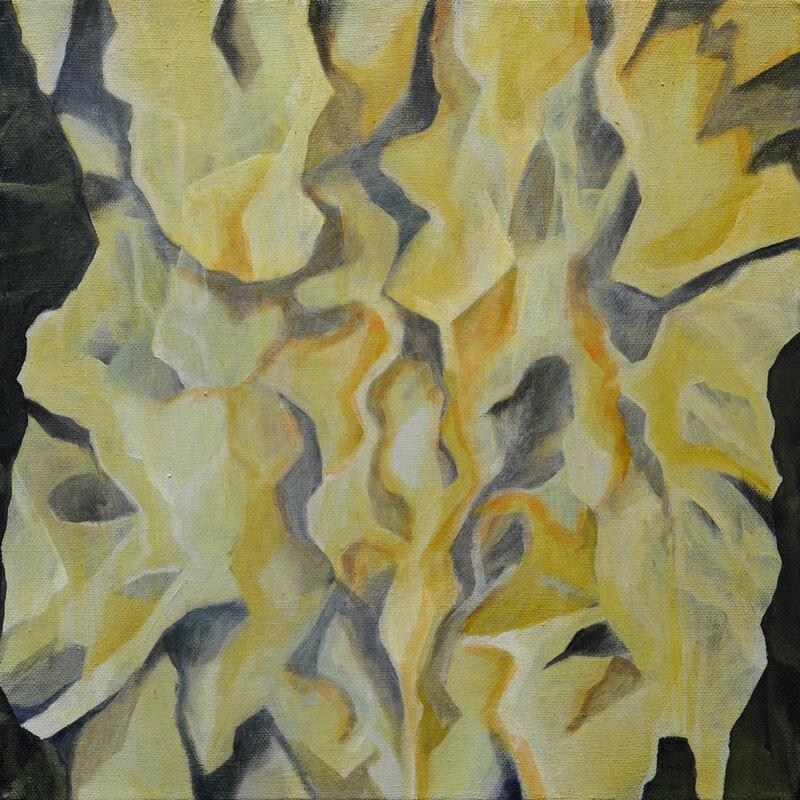 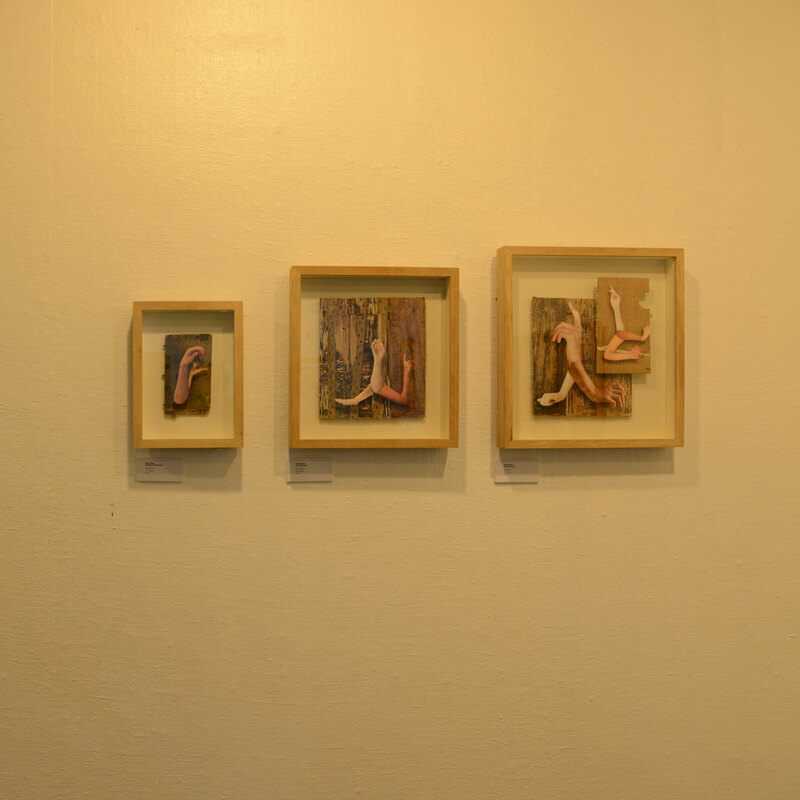 The paintings by Pope Bacay and Jess de Leon, for instance, exhibit an affinity with the contours, patterns and textures of natural elements, such as sky and water. 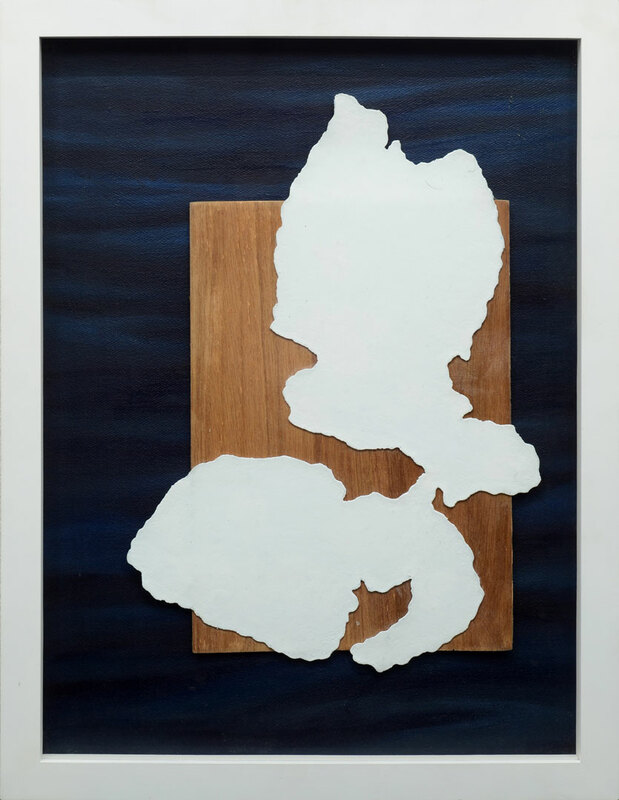 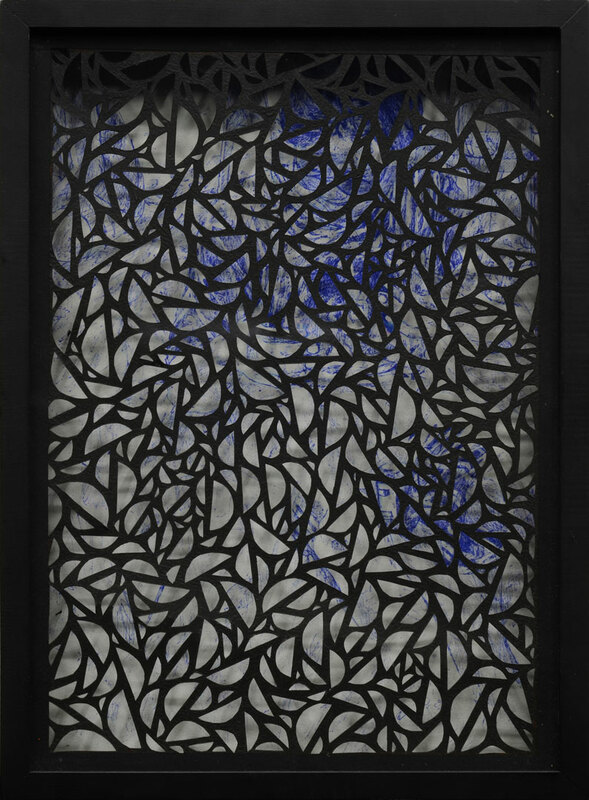 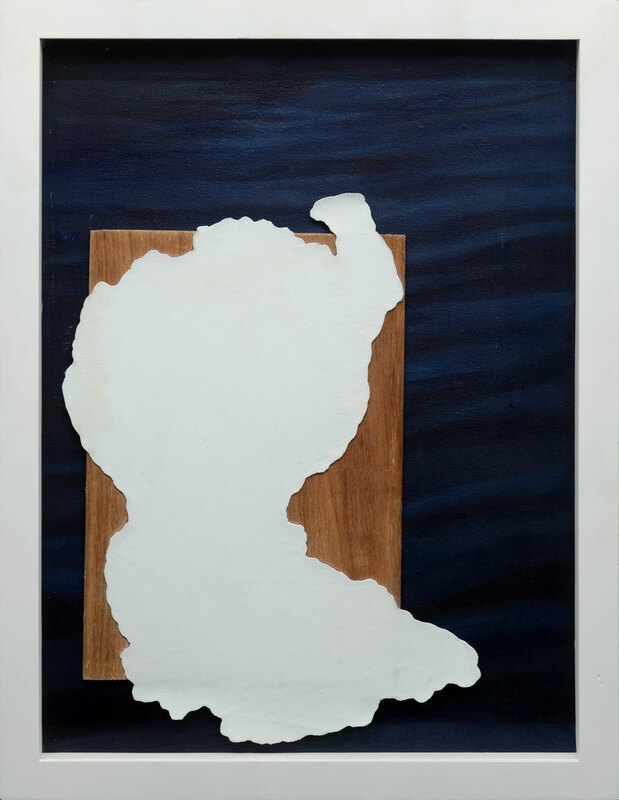 Bacay’s works, bordering on the abstract, hint at a sense of anxiety and dissonance in his representations of nature as an extension of self. 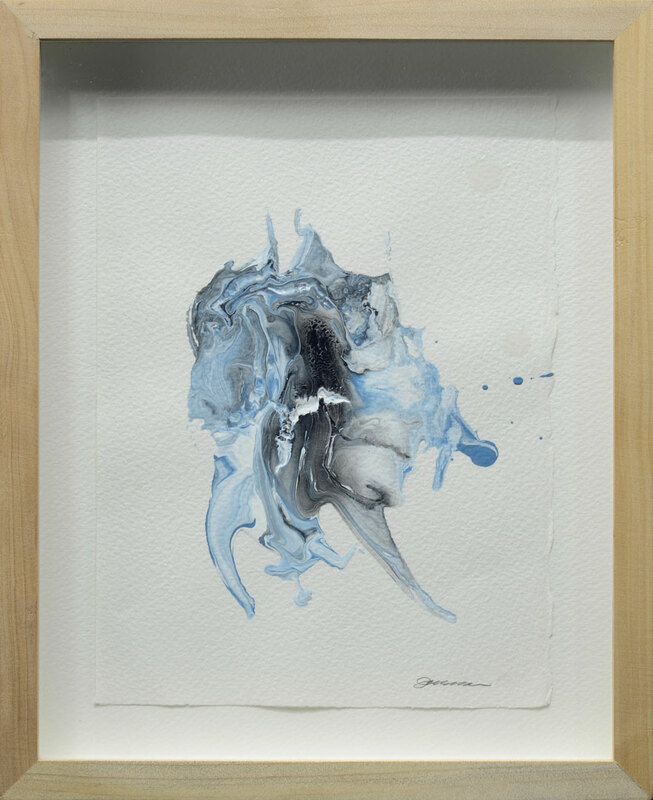 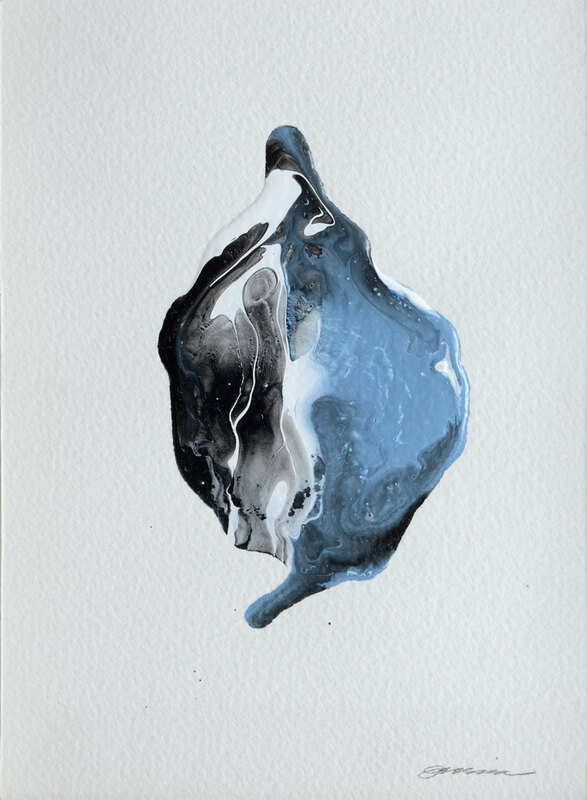 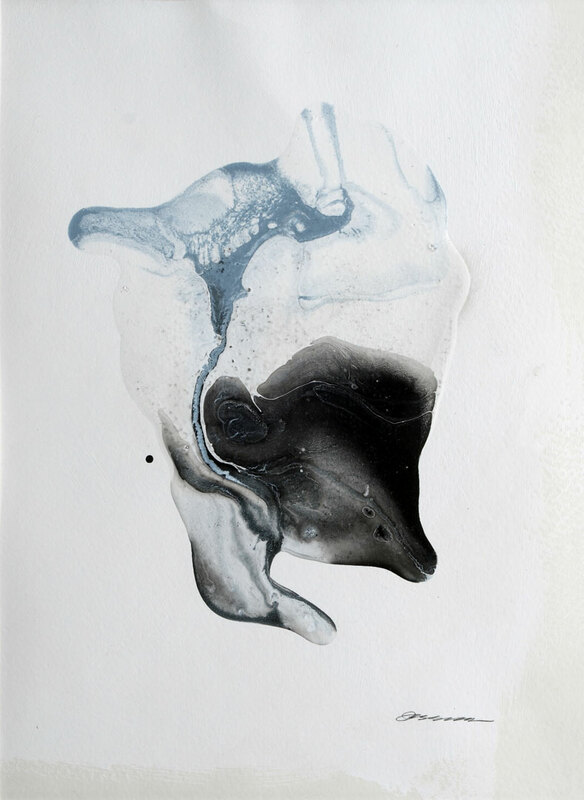 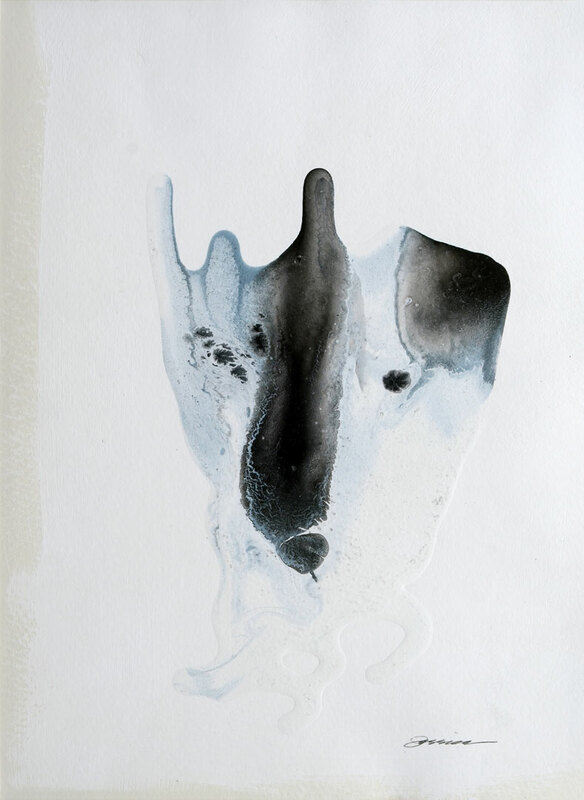 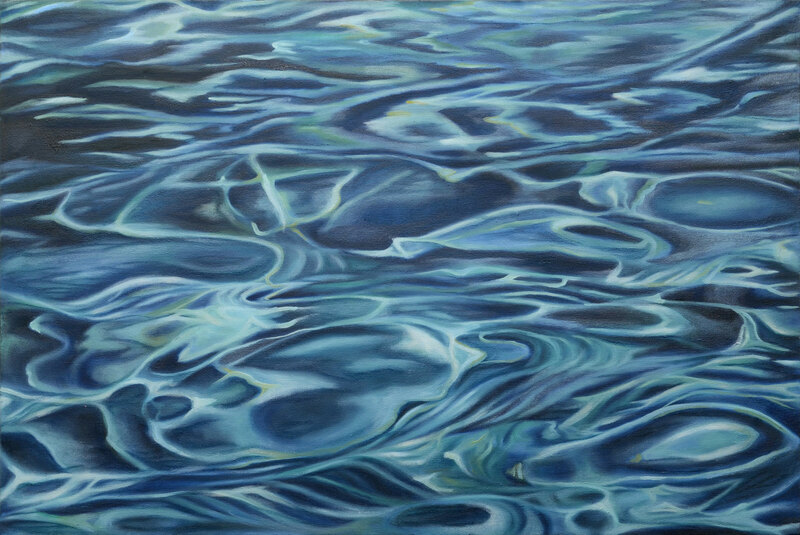 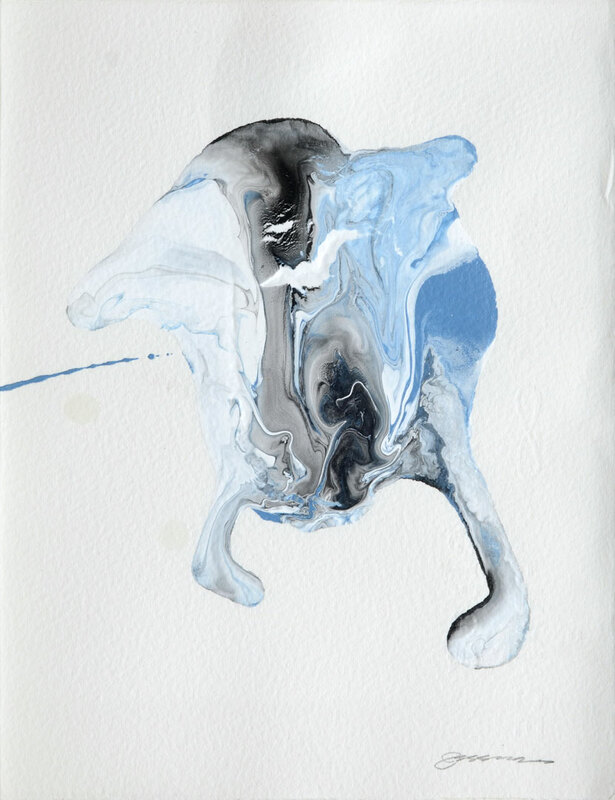 De Leon, on the other hand, adeptly expresses the fluid qualities of water: a force that can shift from being flowing to viscous, serene yet ominous. 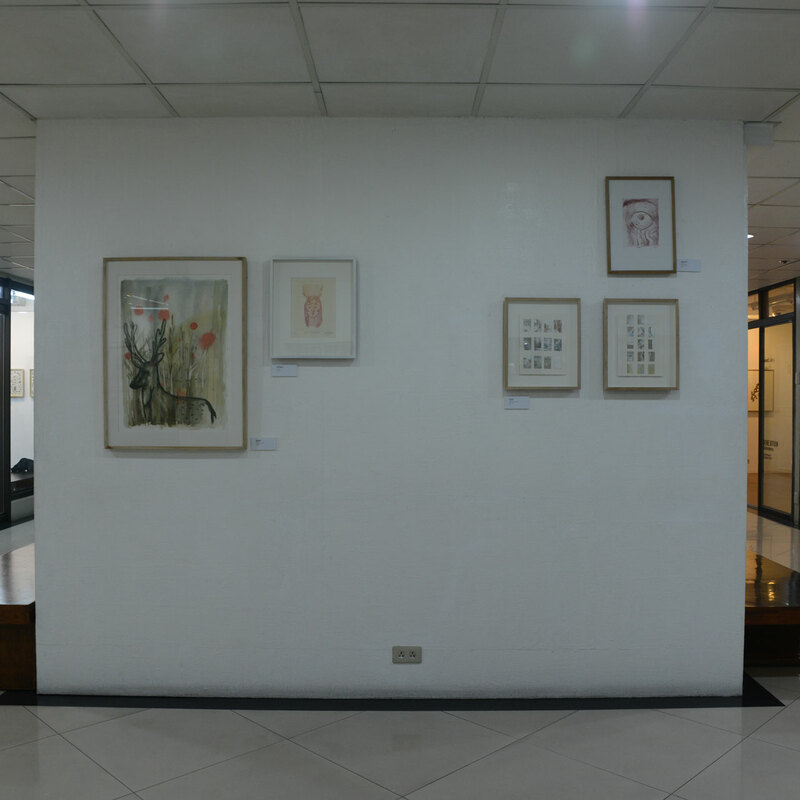 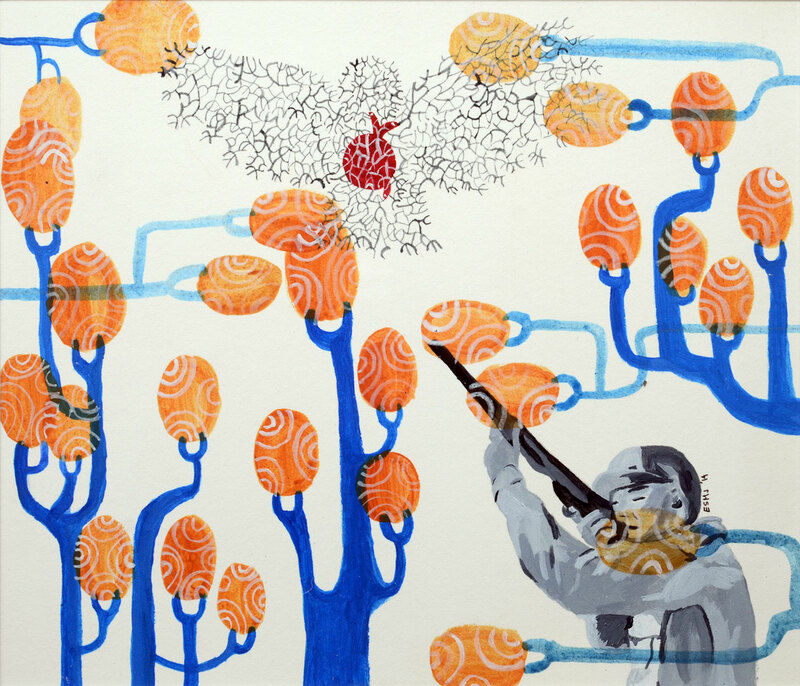 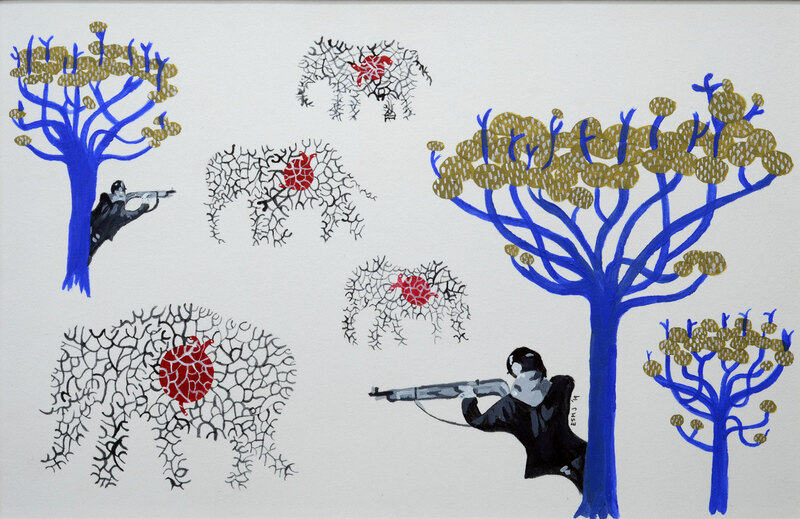 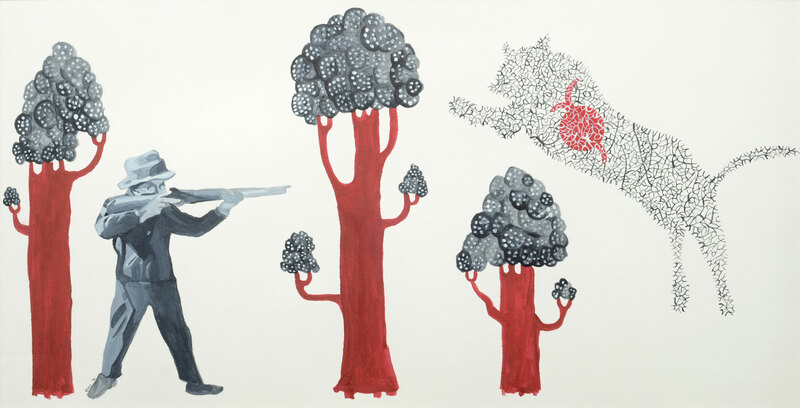 Yet the act of responding to the natural can also center on the human experience, conveyed by Isha Naguiat’s fusing of animal and human countenances and Efren Madlangsakay’s stylized illustrations of the hunt in his Killing Fields series. 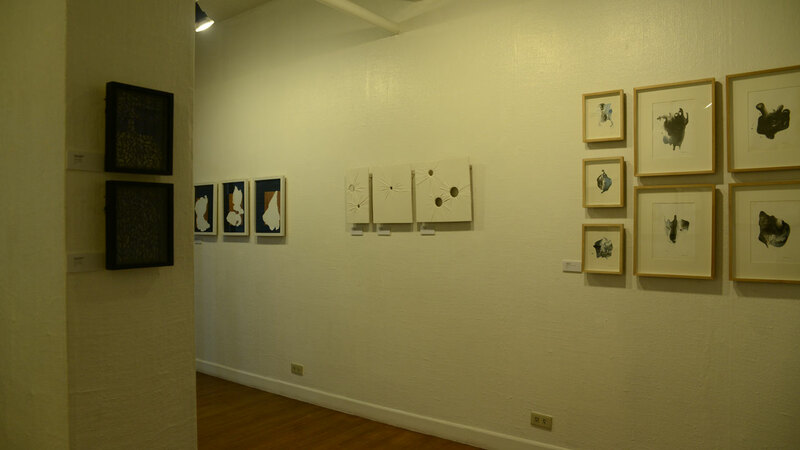 A shift from the terrestrial to the celestial world is implied in the works of Julia Barrameda and Michael Nilles, which separately reconfigure the concept of stellar constellations. 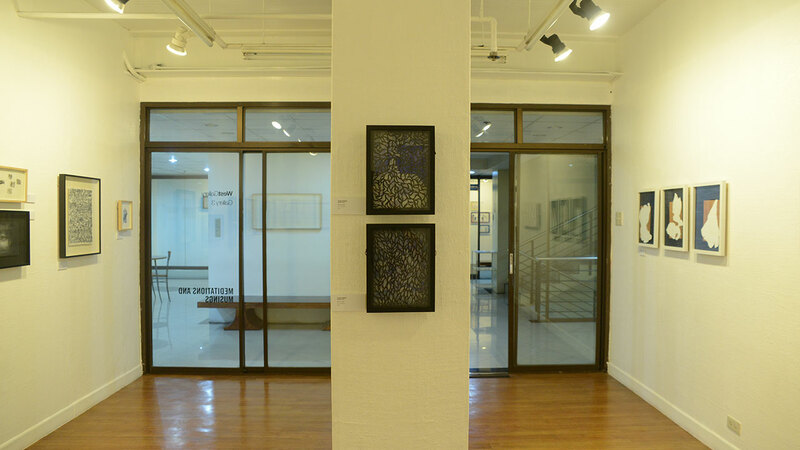 Barrameda recalls the childhood pastime of counting stars in the countryside and, relocated away from that distant time and place, traces the contours of both cityscape and constellation through pinpricks on paper. 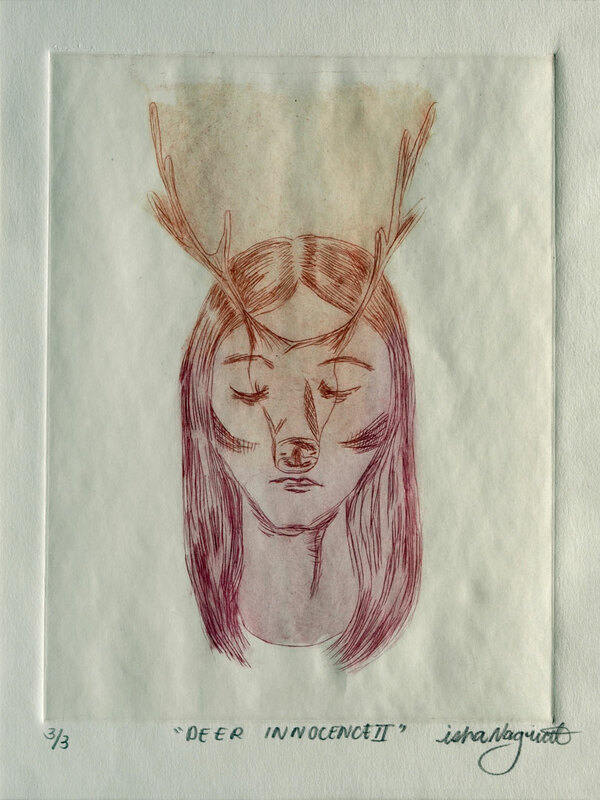 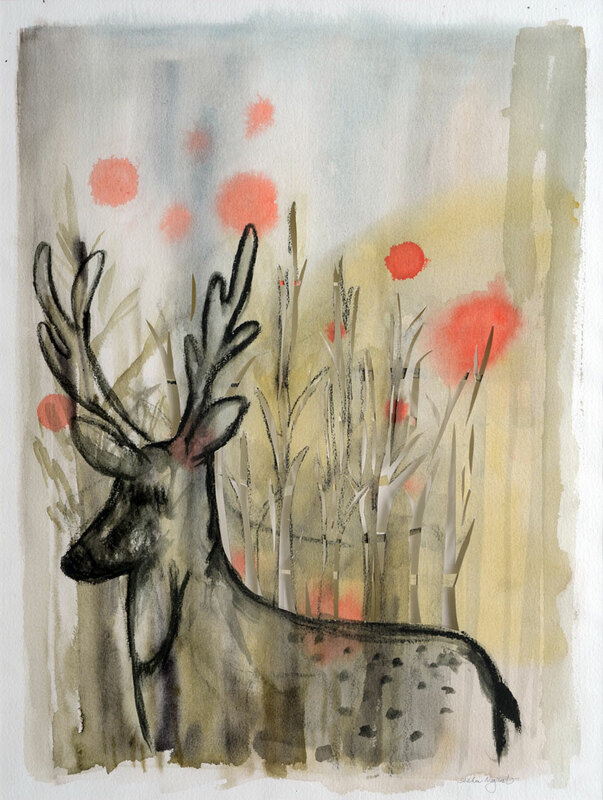 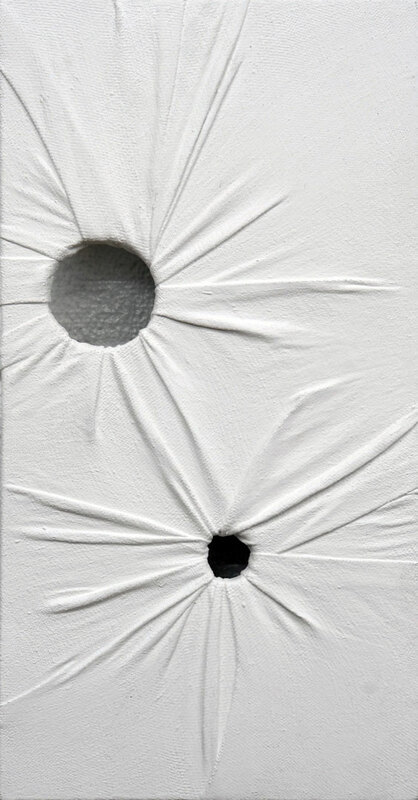 Conversely, Nilles’ more figurative work responds to this “personal fascination of the space beyond our own” by seeking narrative parallels between the stories of stars and folk mythology. 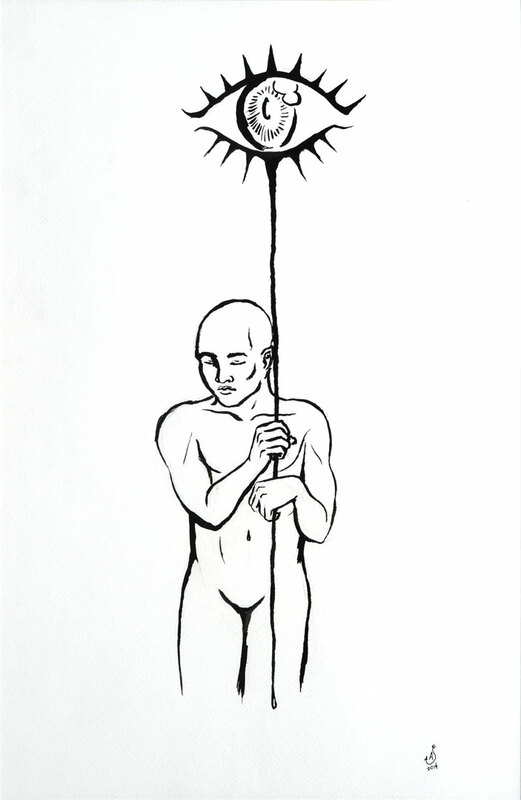 The affinities between the natural, cosmic and the personal are likewise hinted at in Pin Calacal’s Creation Mythology series: unobtrusive yet joyous witnesses to the quiet birthing of new worlds. 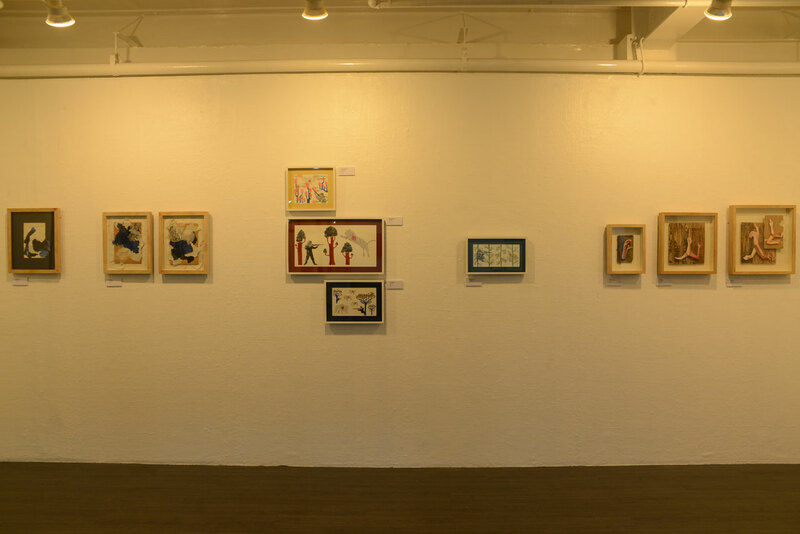 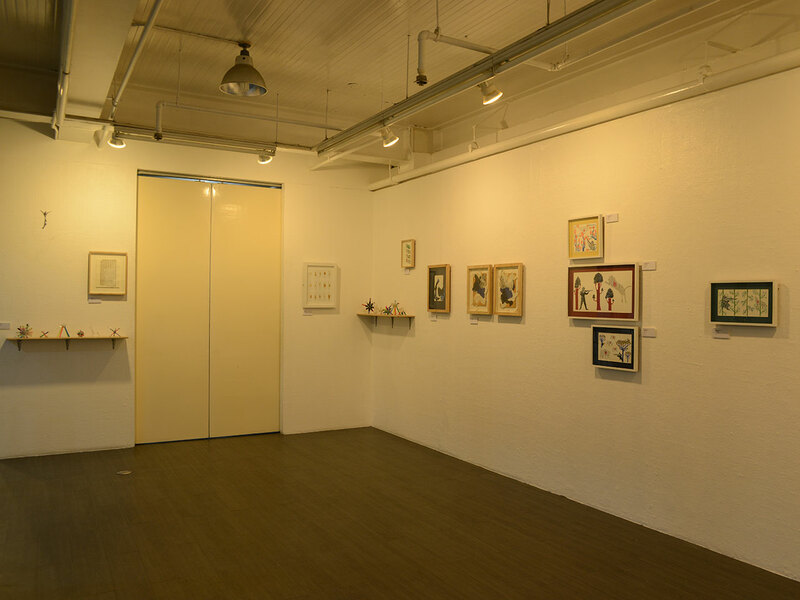 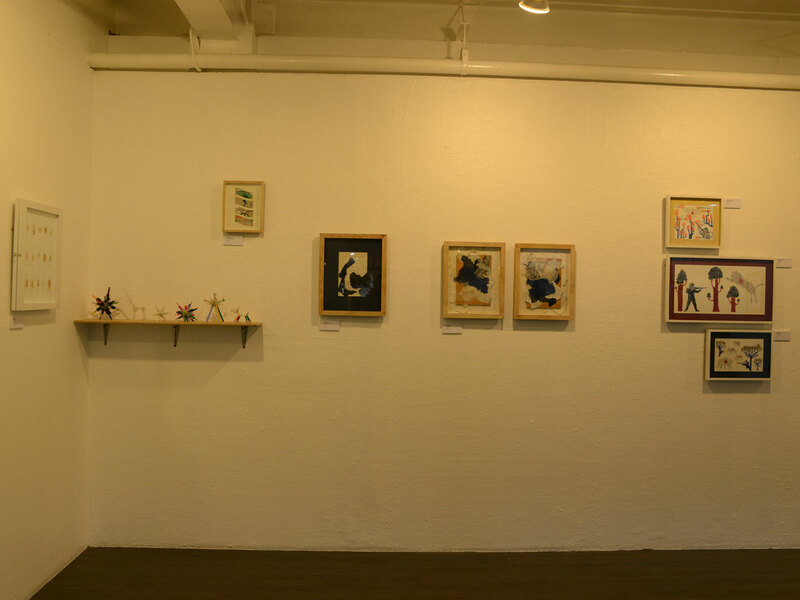 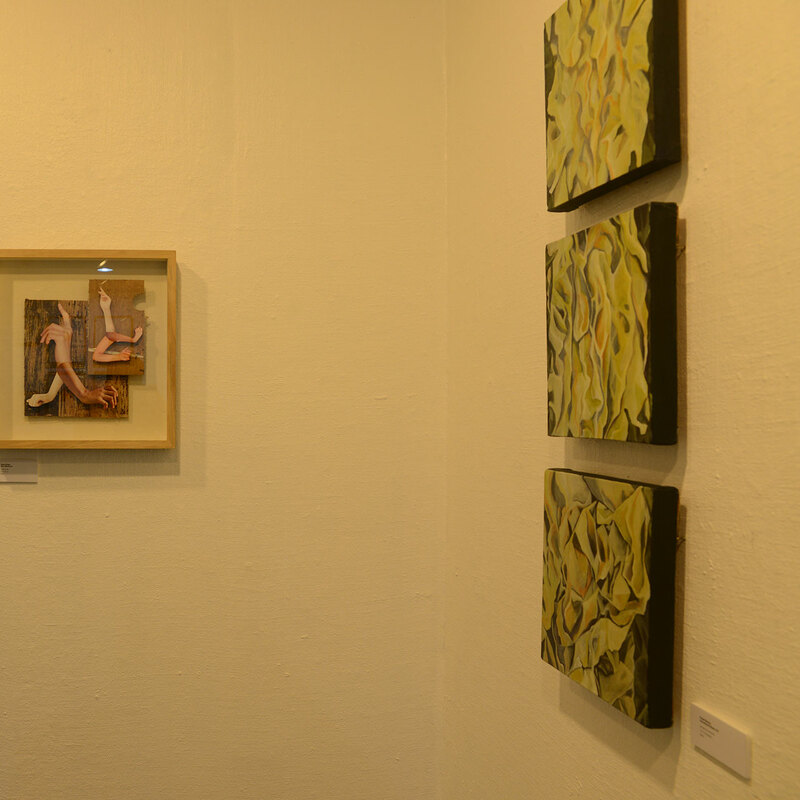 Other works in the show emphasize the creative capacity inherent in the human form, which is capable of perceiving and making. 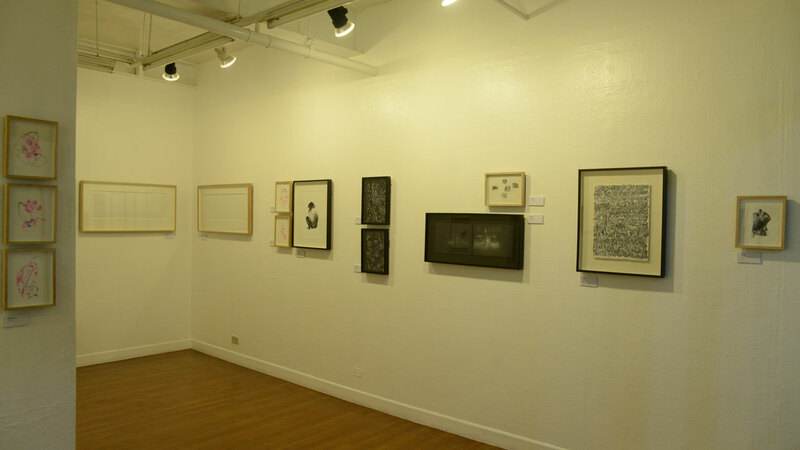 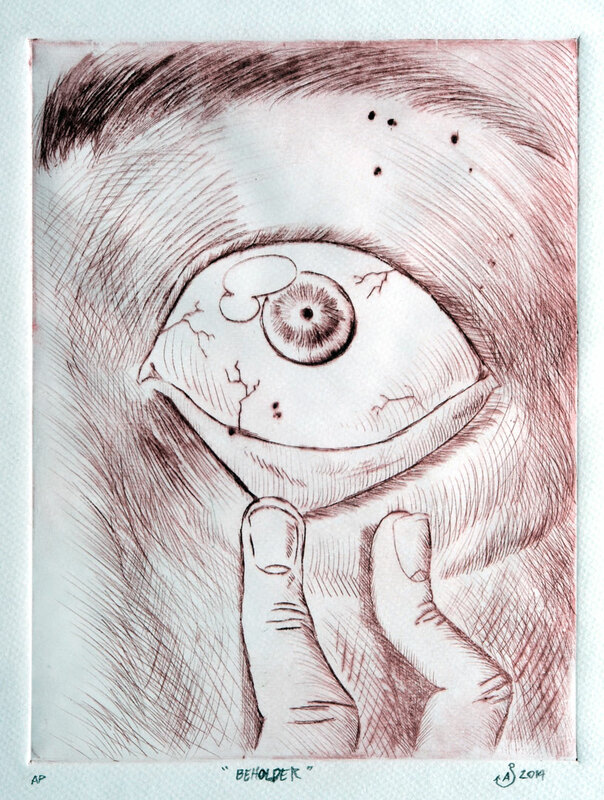 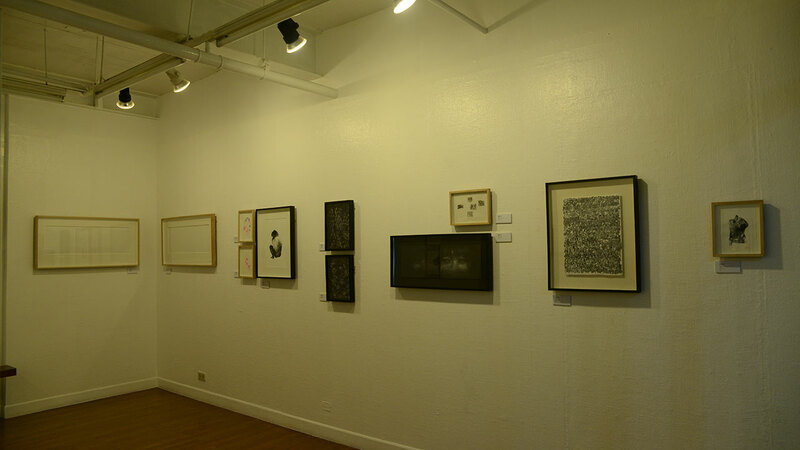 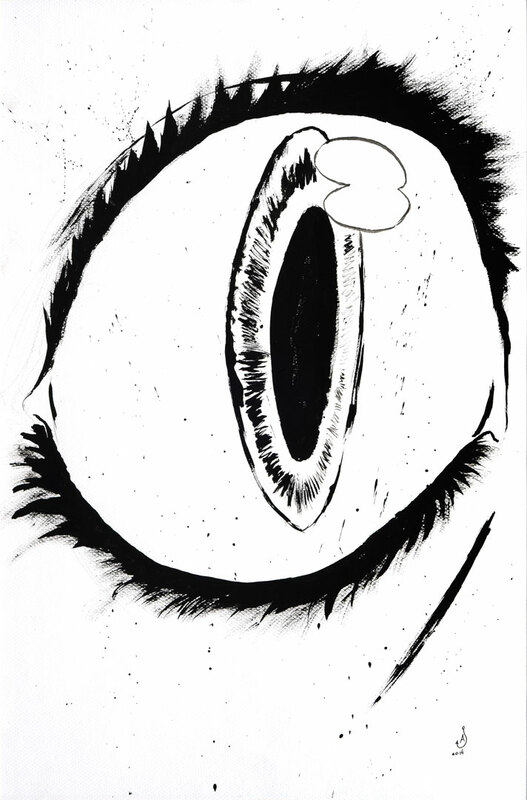 Adoy Justiniani’s drawings of the human eye, characterized by a linear and graphic sparseness, call attention to the role of vision in making sense of the world; Ness Sheen Aban’s Manticore, on the other hand, assembles a hybrid entity from cut images of limbs and hands, attesting to the human capacity to create entire configurations of signs. 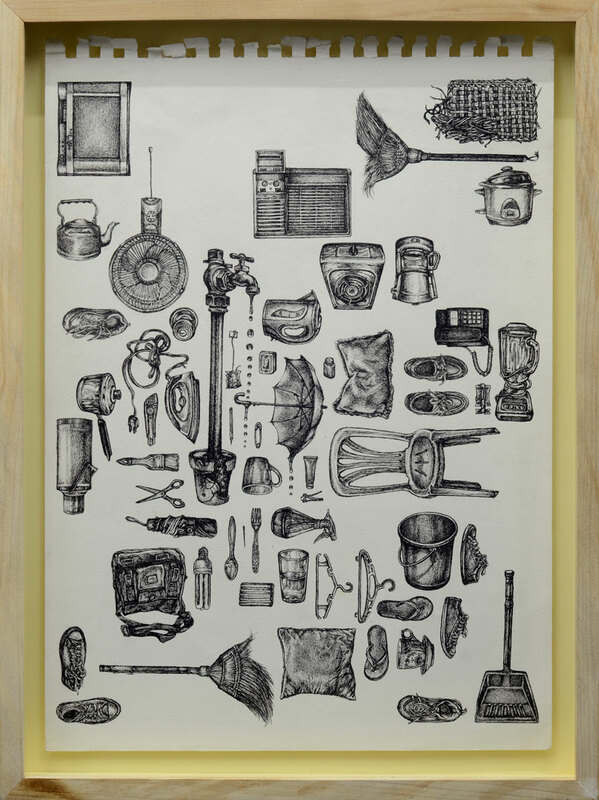 Objects of everyday utility are likewise utilized for their inherent qualities and symbolic possibilities. 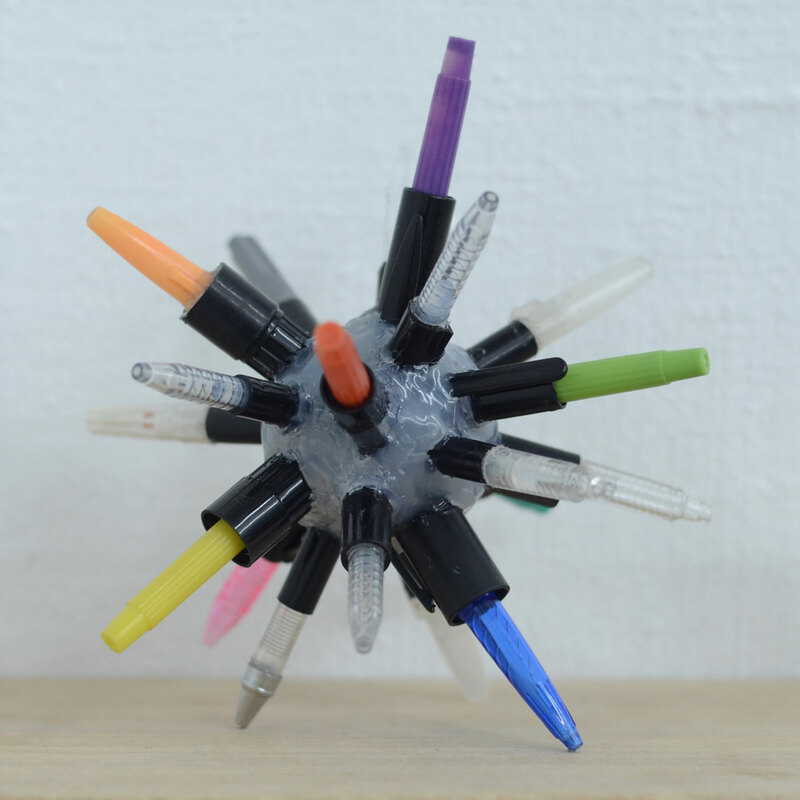 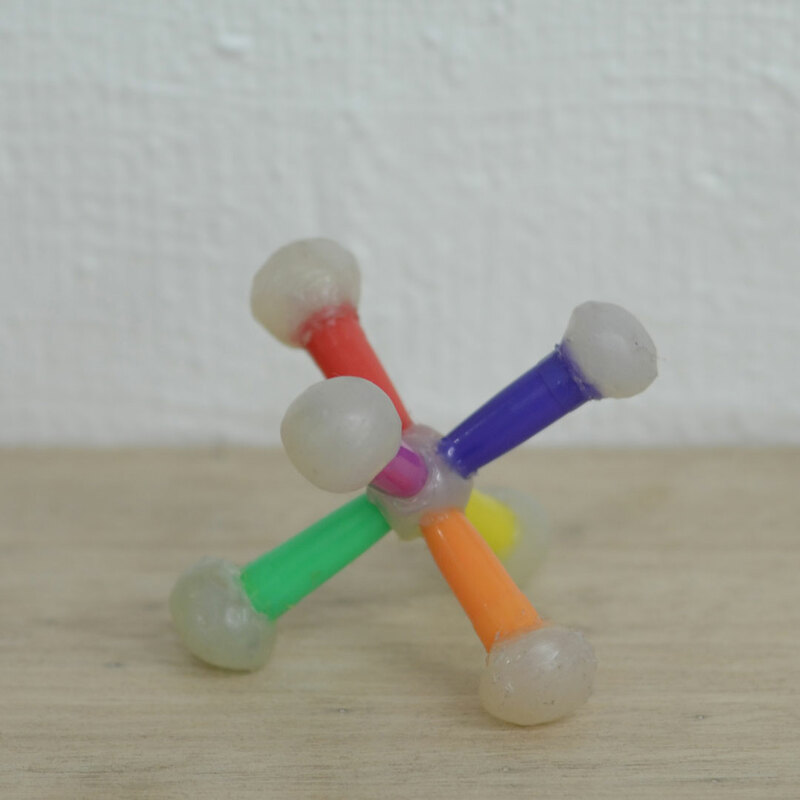 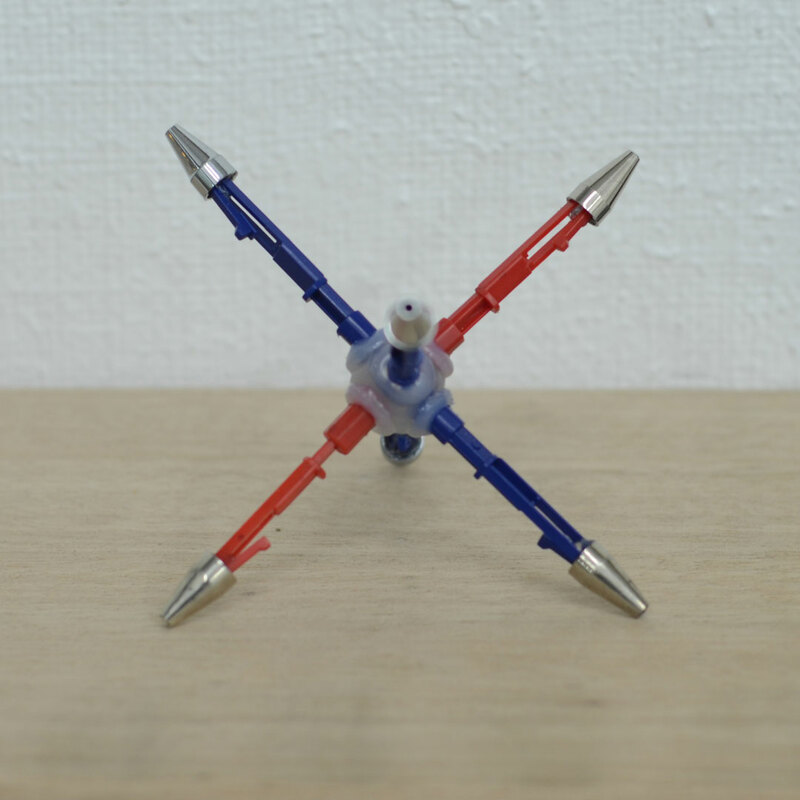 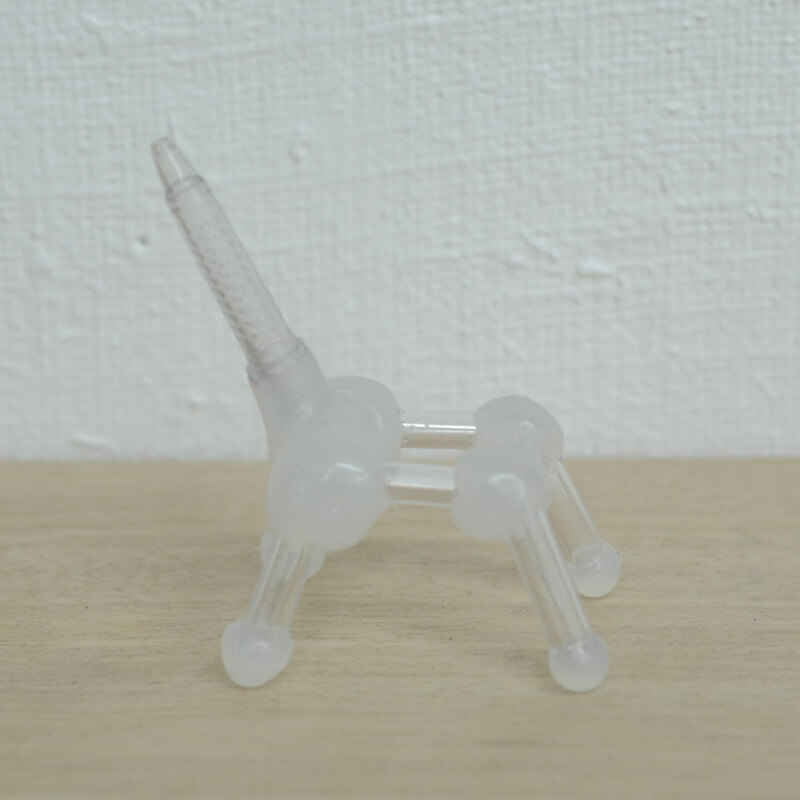 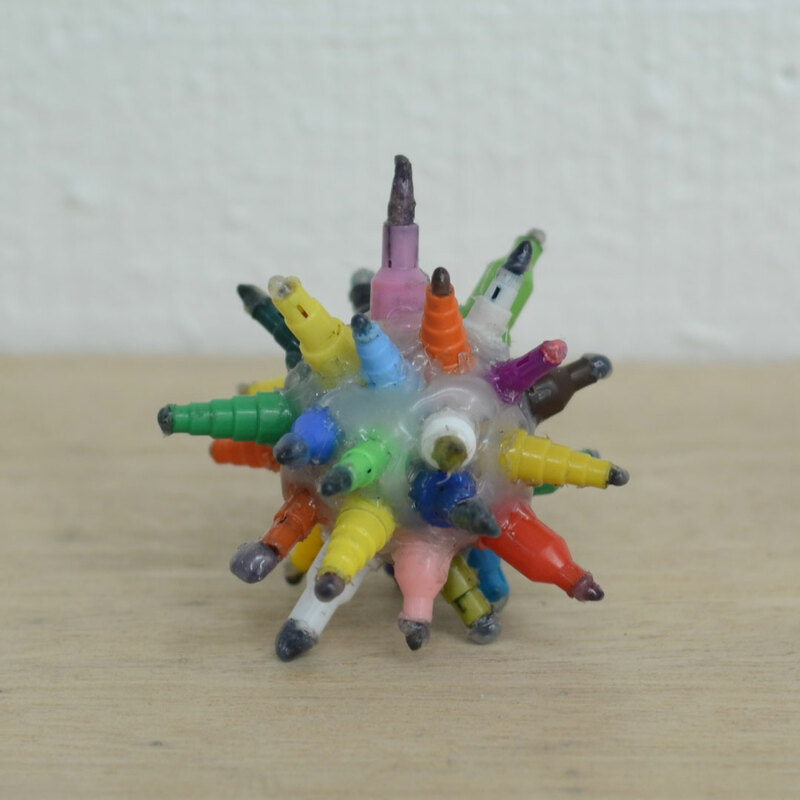 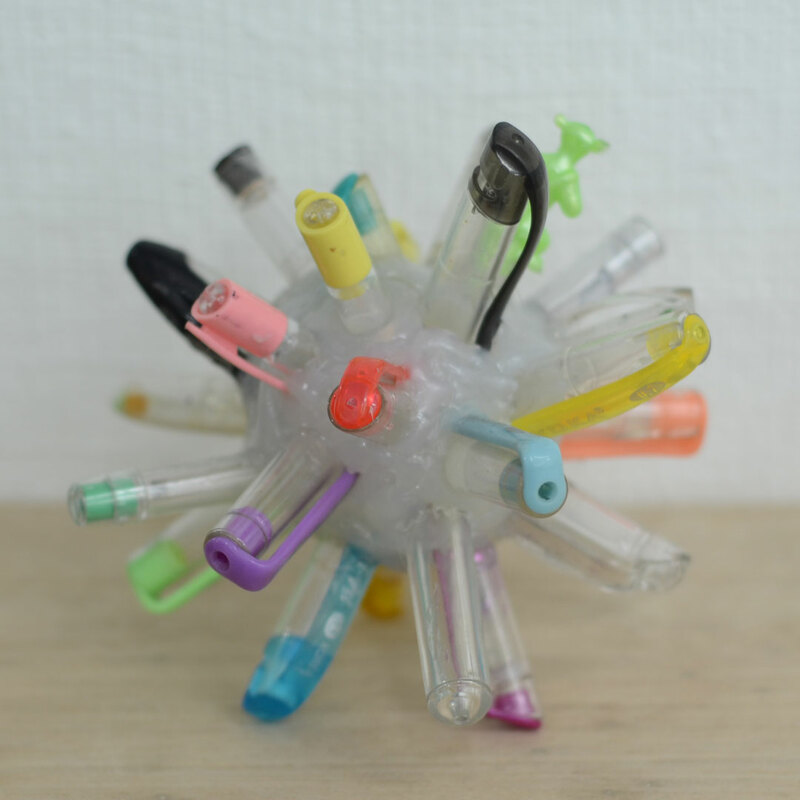 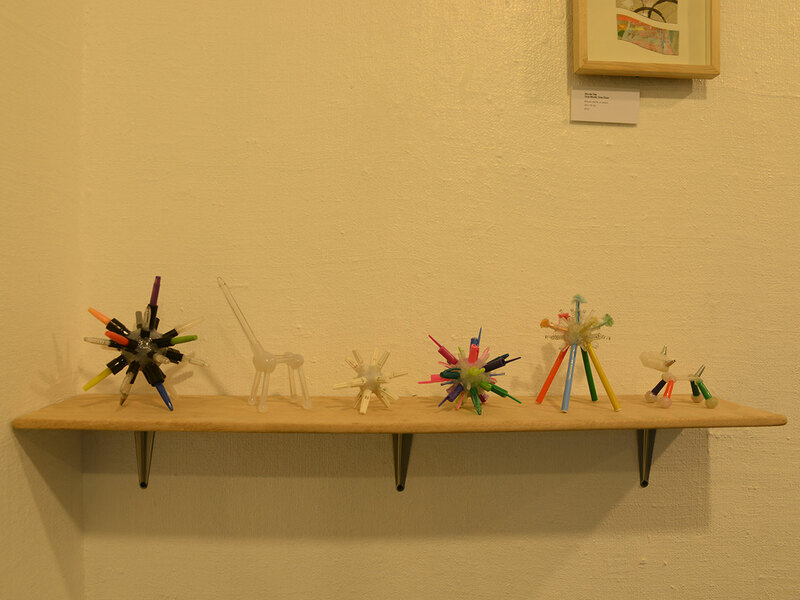 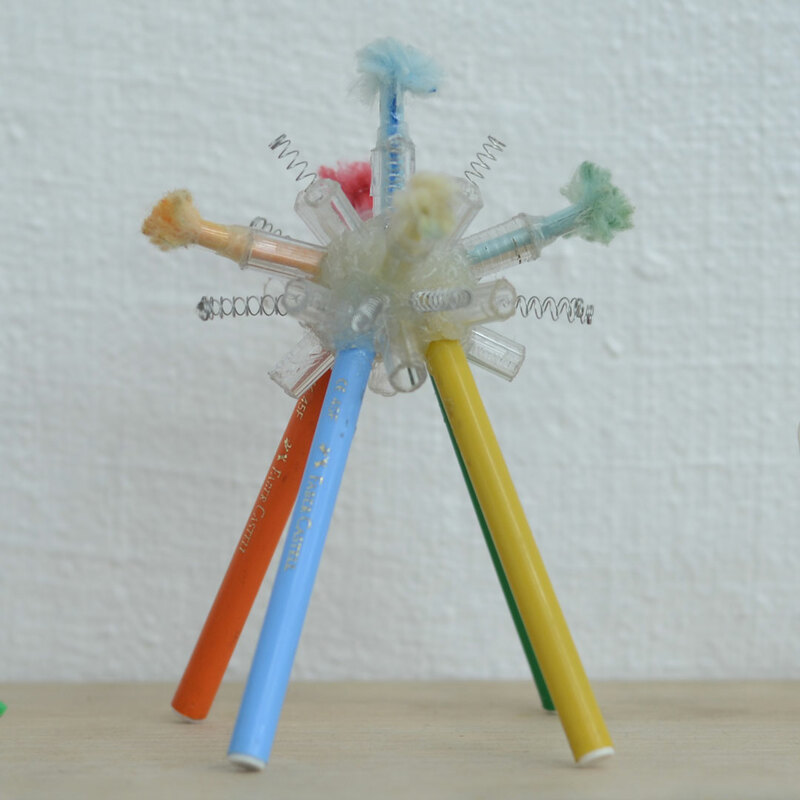 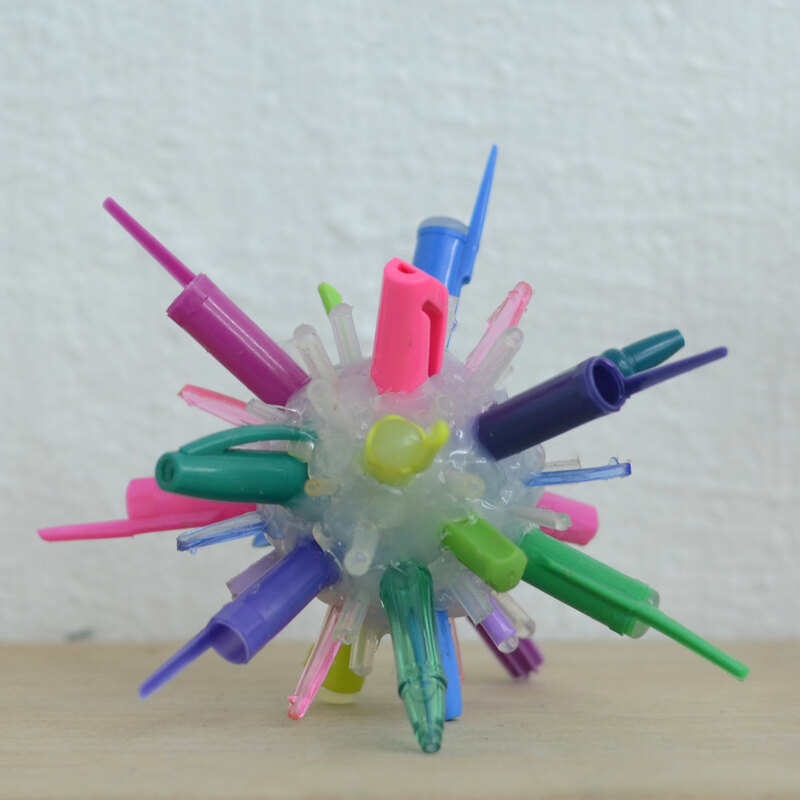 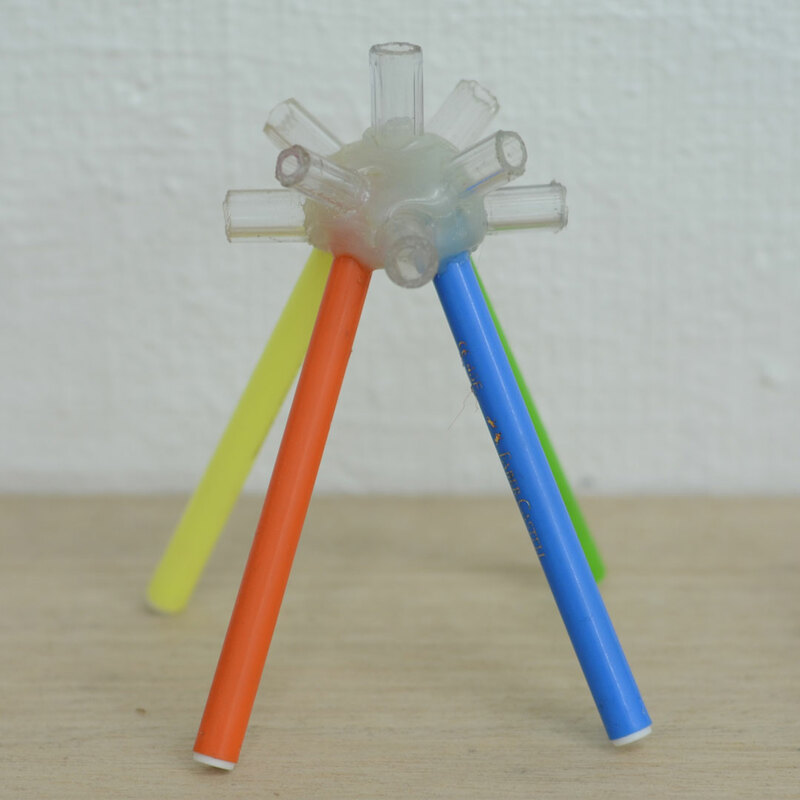 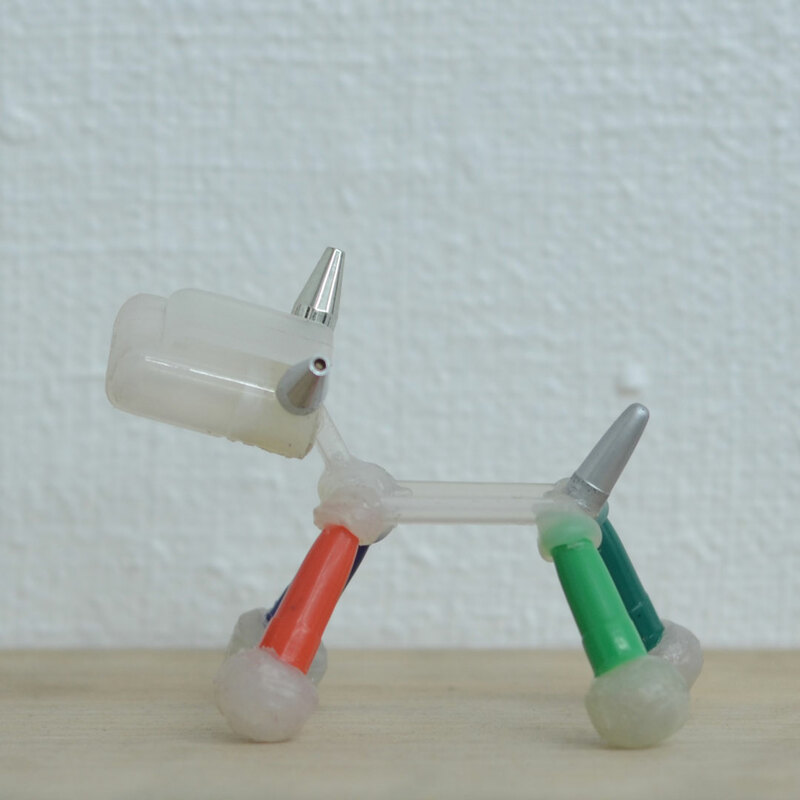 Amado Raya’s ballpen sculptures, for instance, mark both the starting and end points of the creative process; he creates playful, brightly-colored shapes as whimsical and random as ideas flowing forth from the pen. 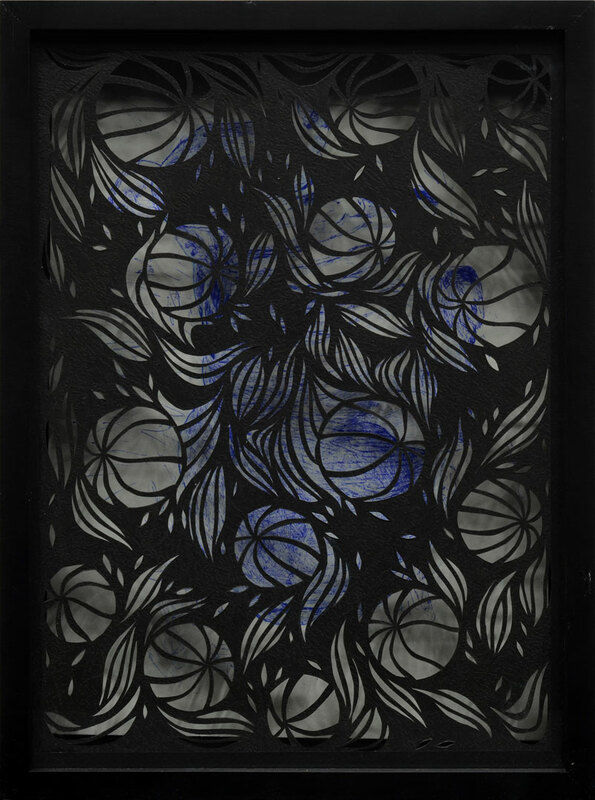 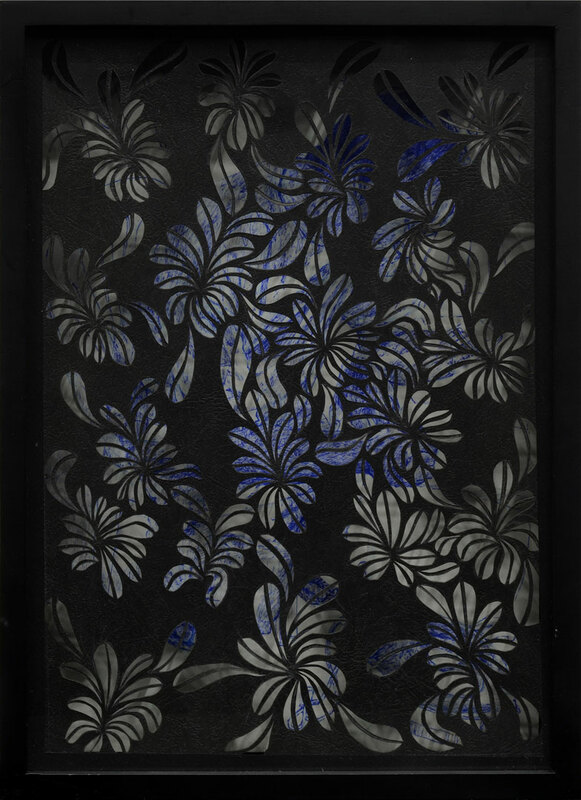 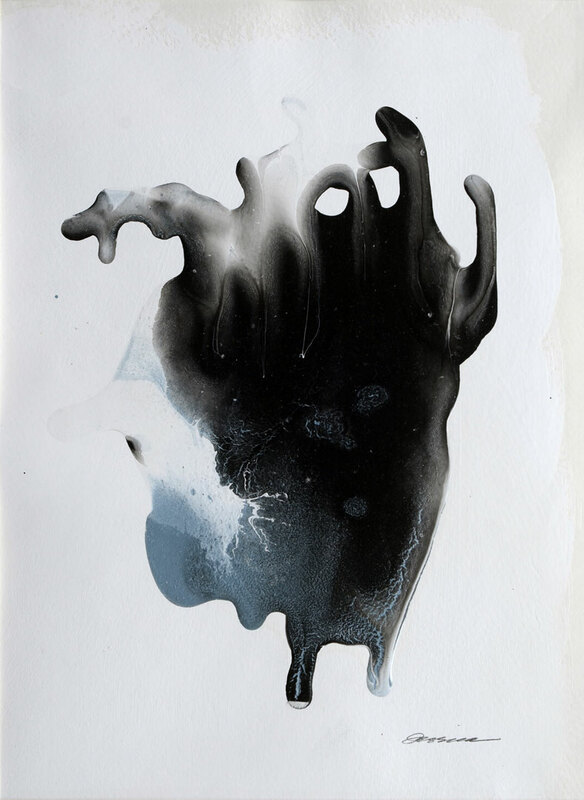 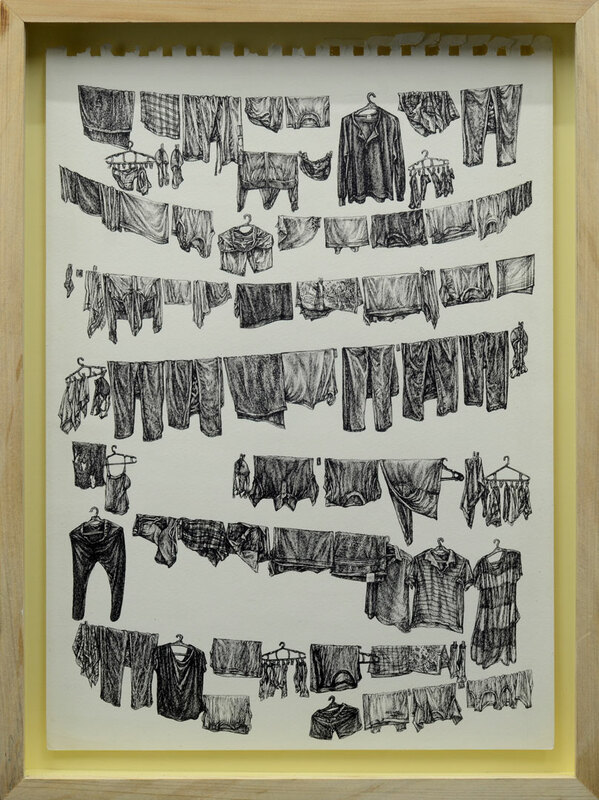 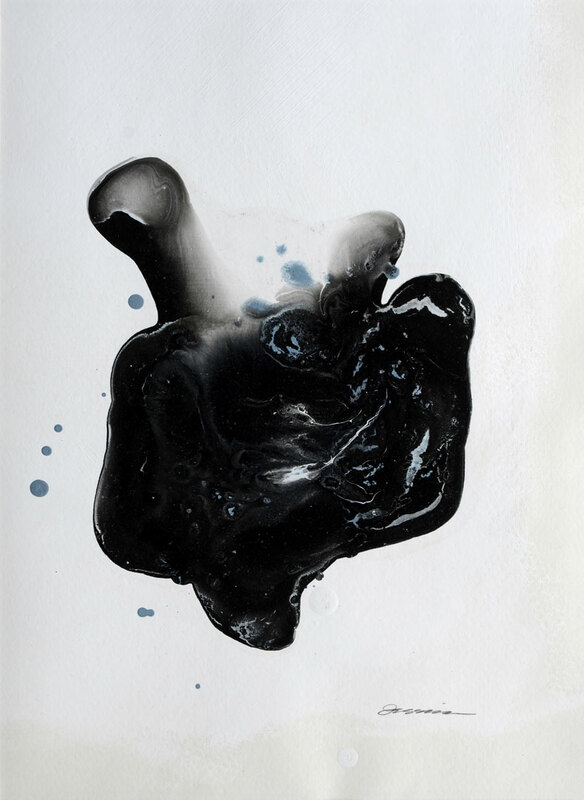 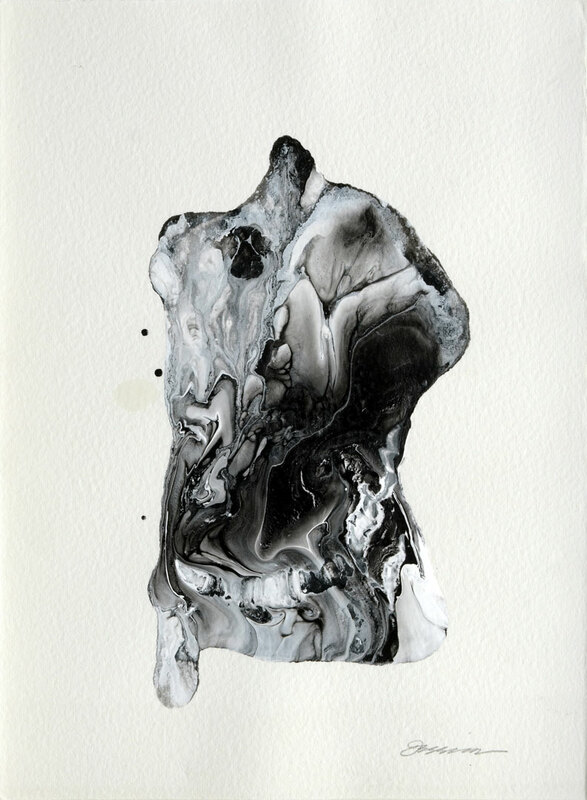 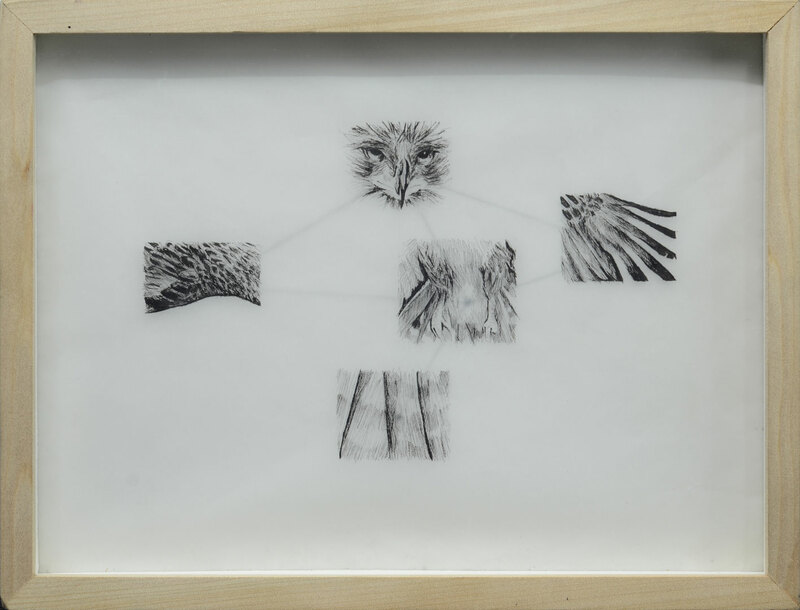 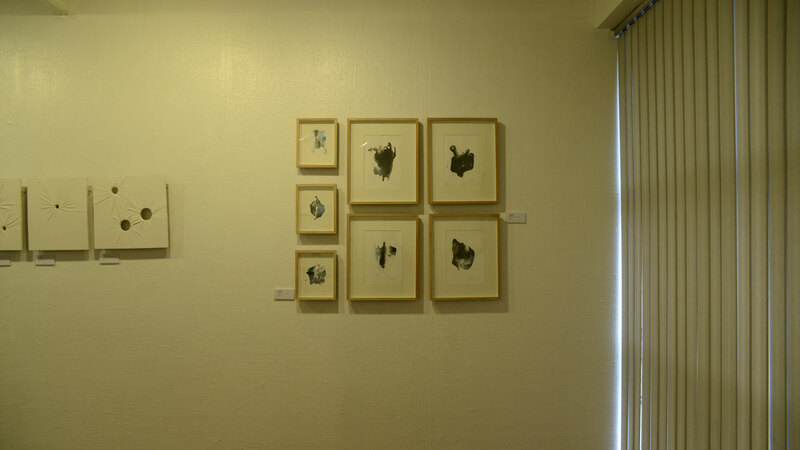 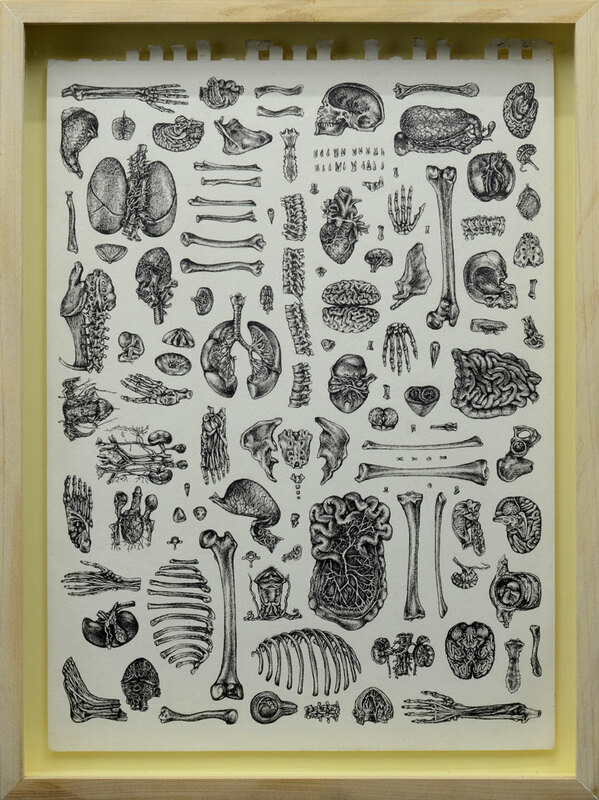 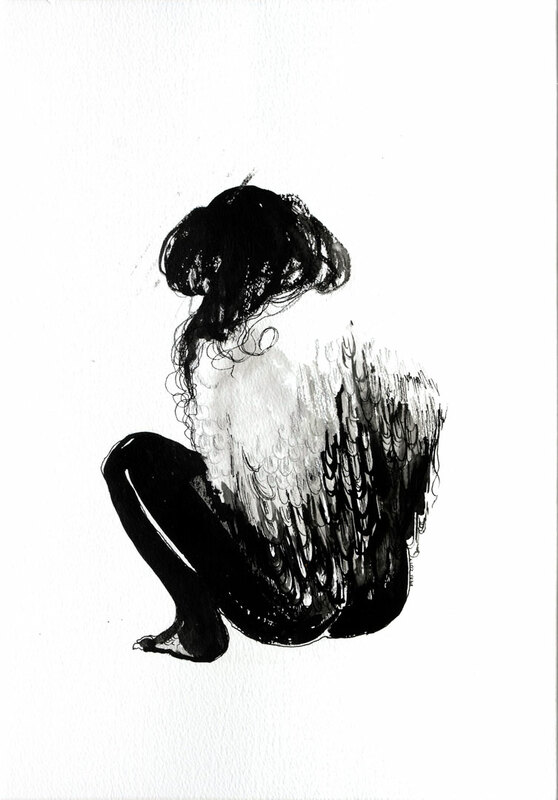 Conversely, Henrielle Pagkaliwangan’s taxonomic black and white drawings of various personal effects attempt to frame material culture as markers of identity. 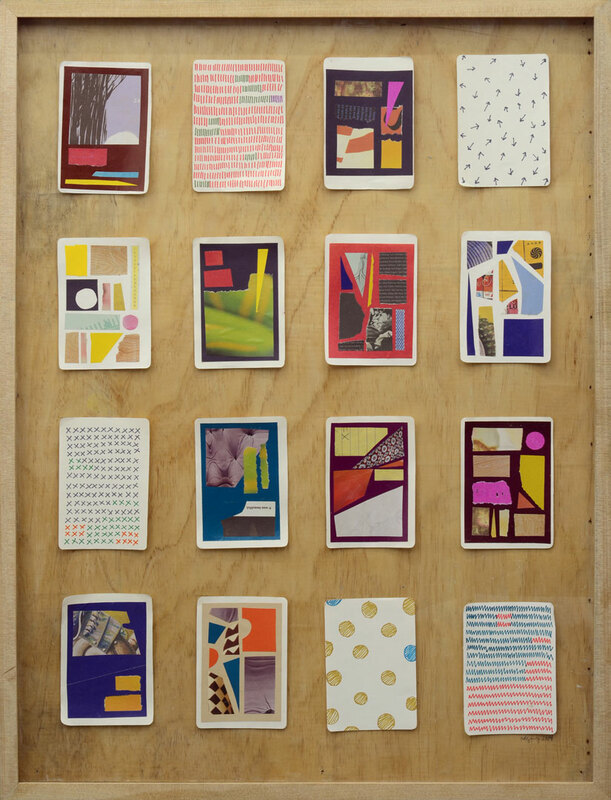 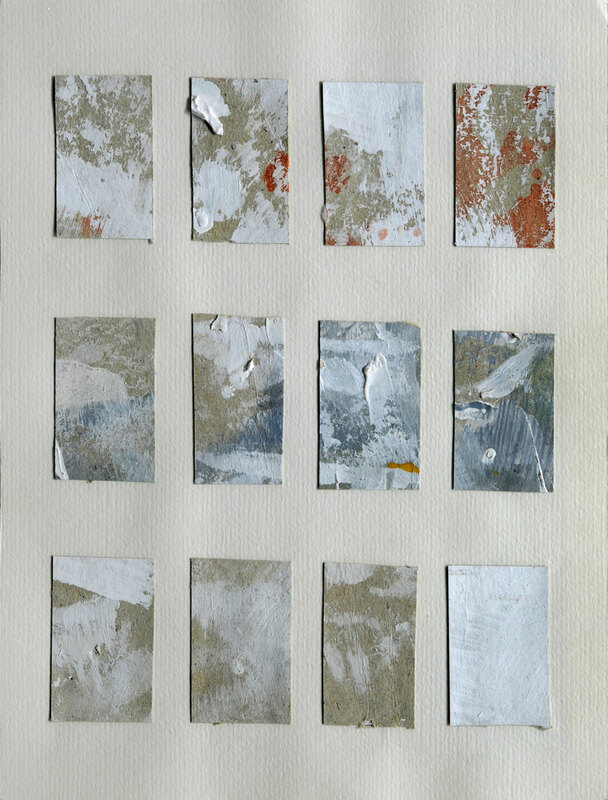 Another last theme threading through the disparate works is the aesthetic encounter with the material. 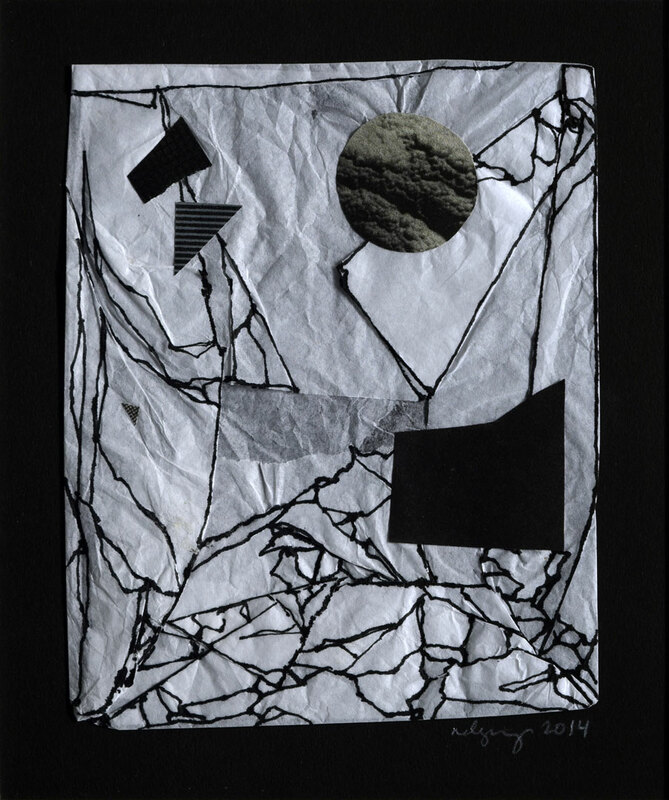 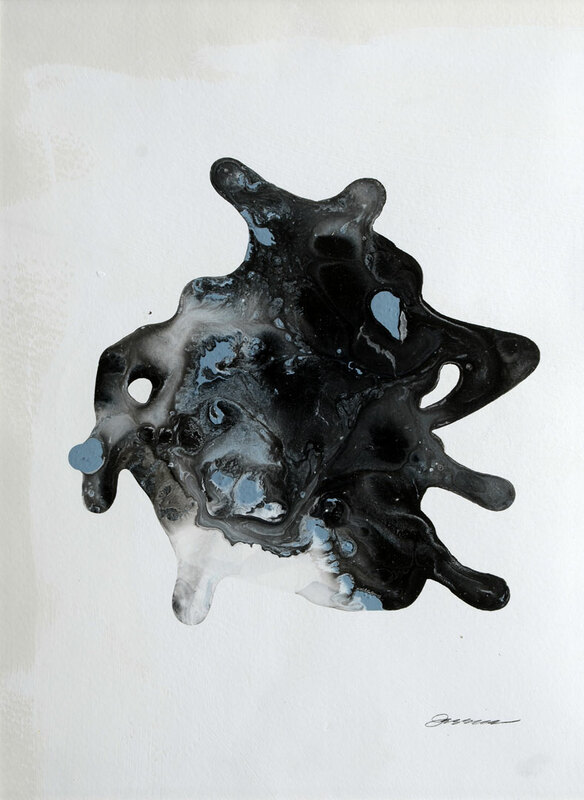 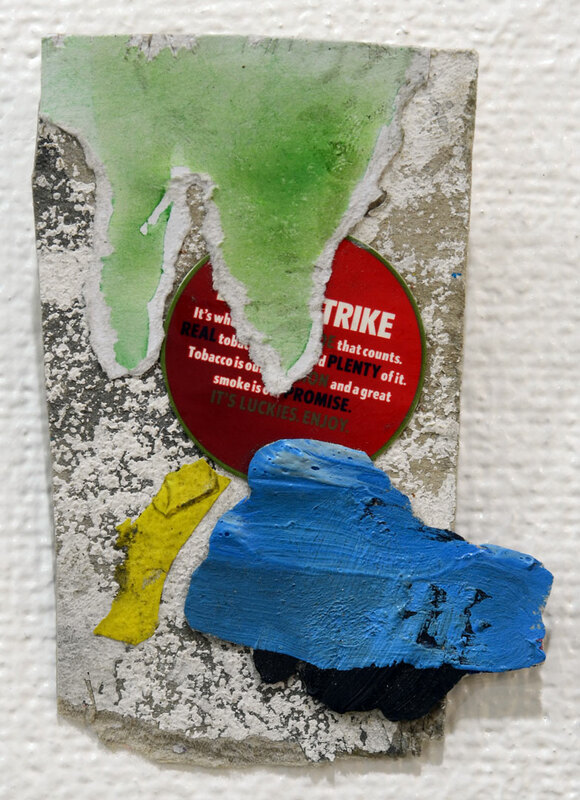 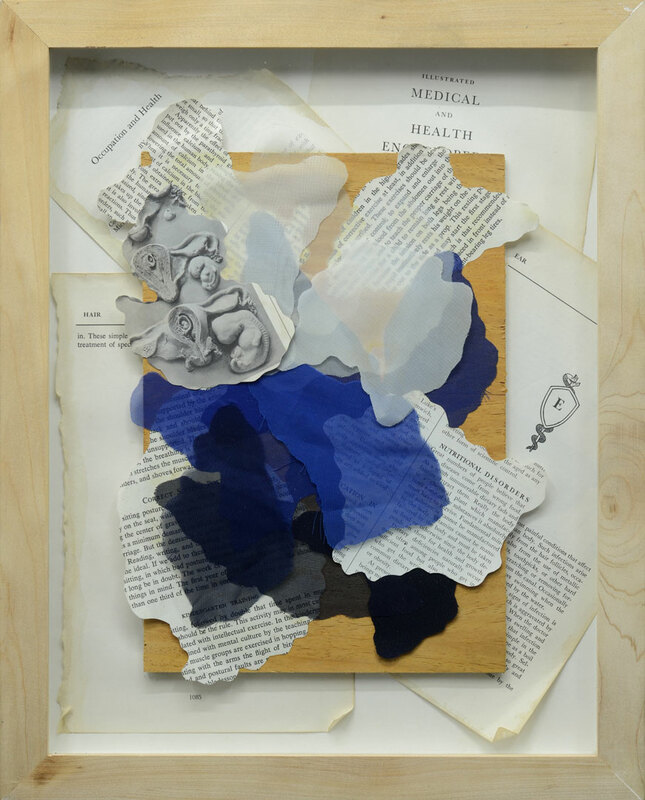 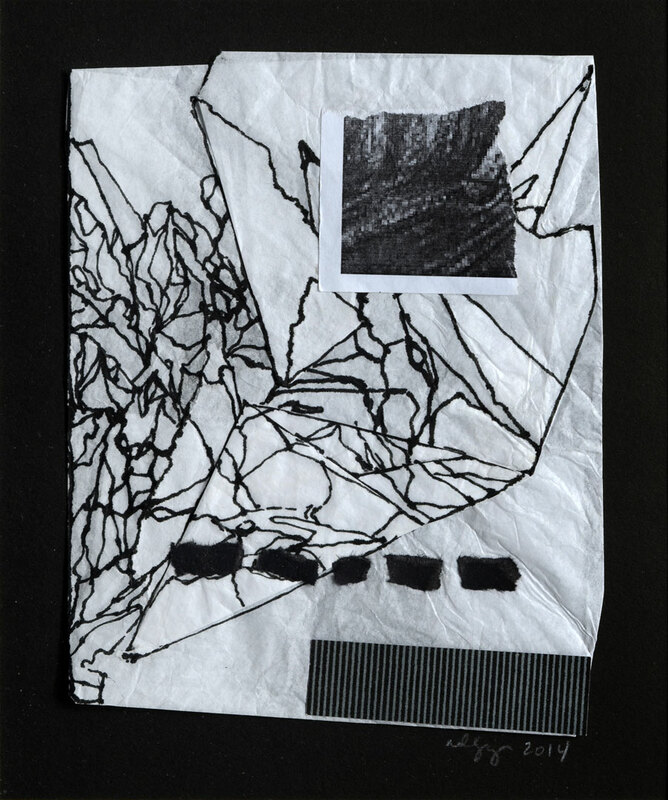 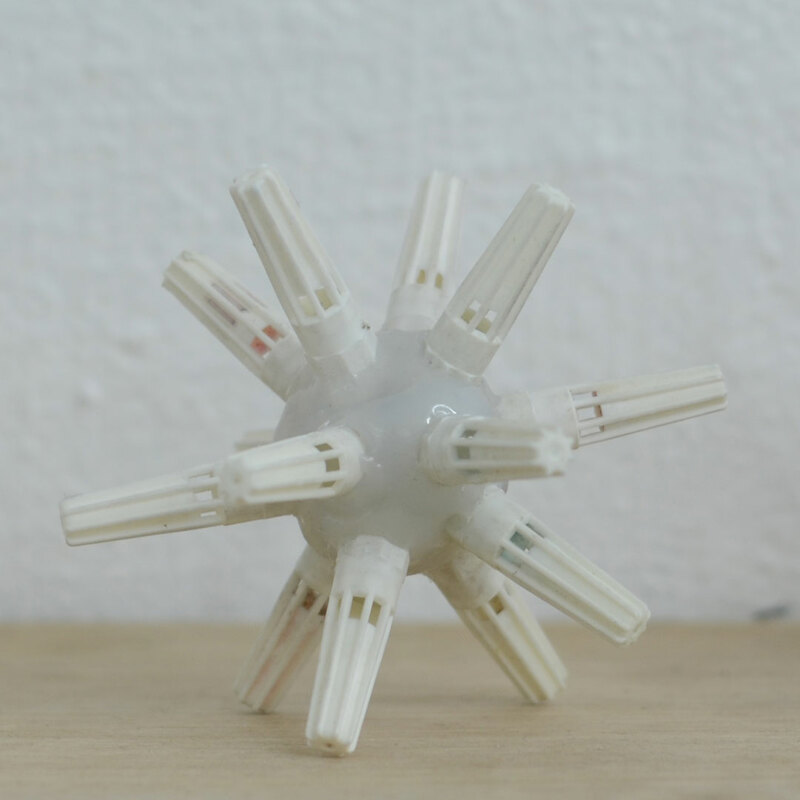 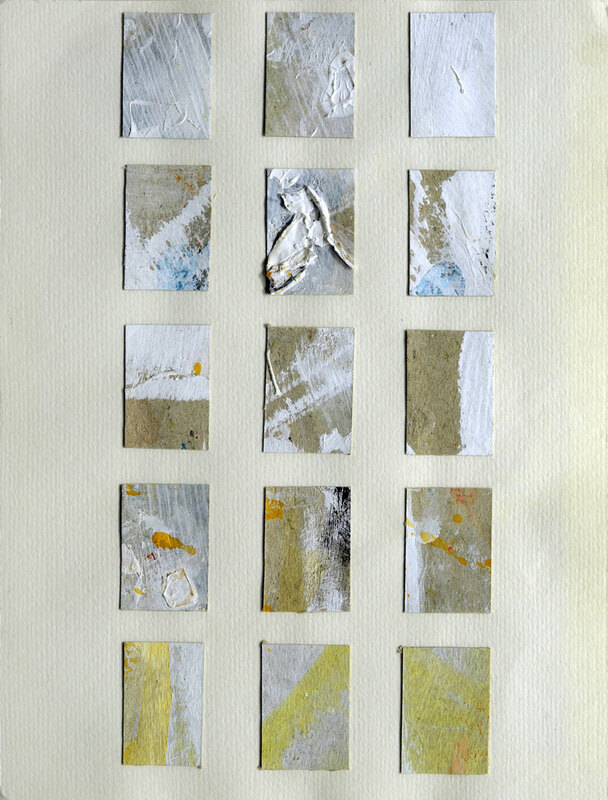 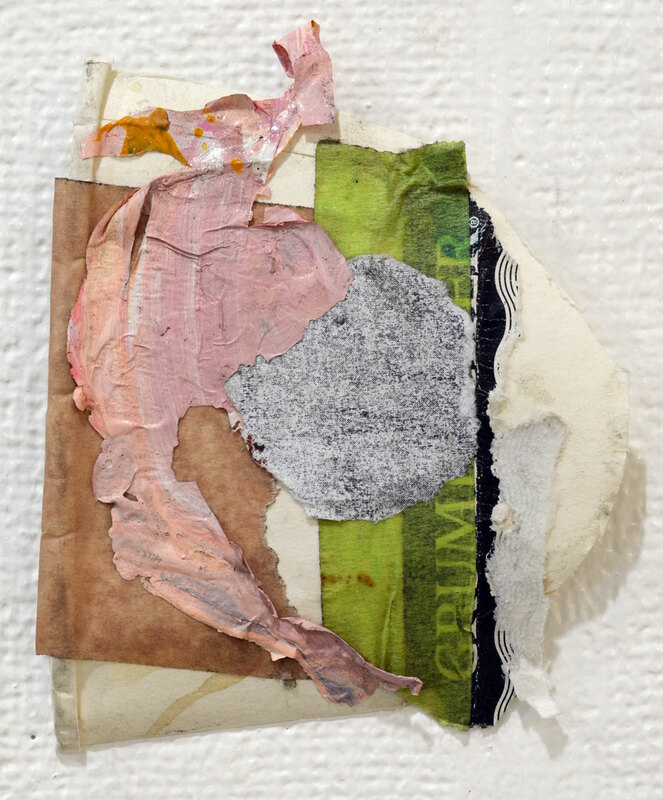 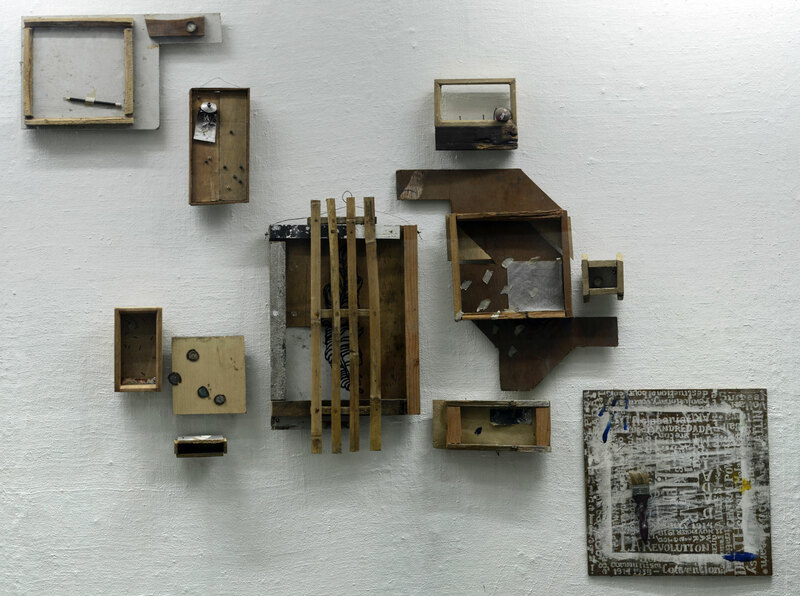 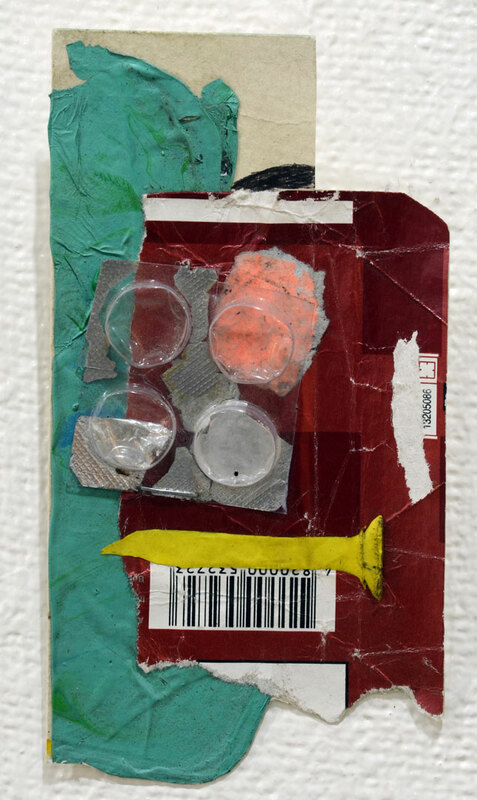 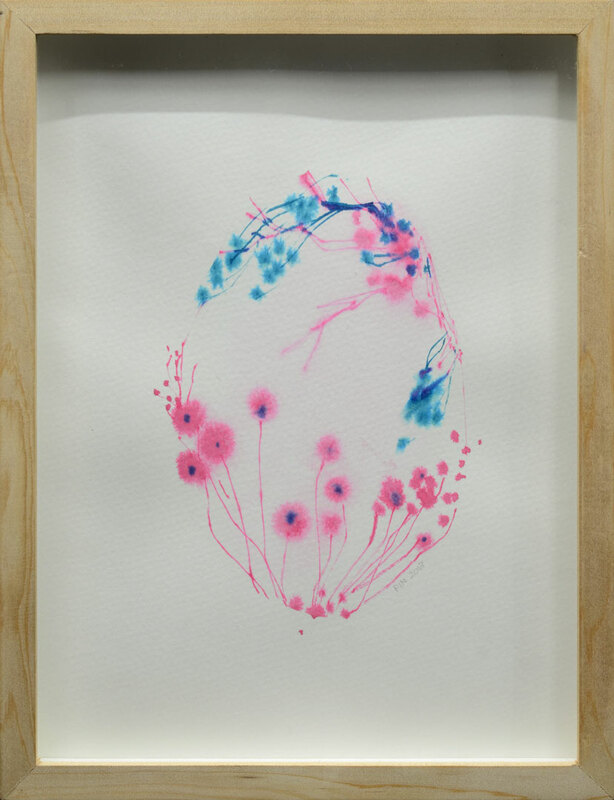 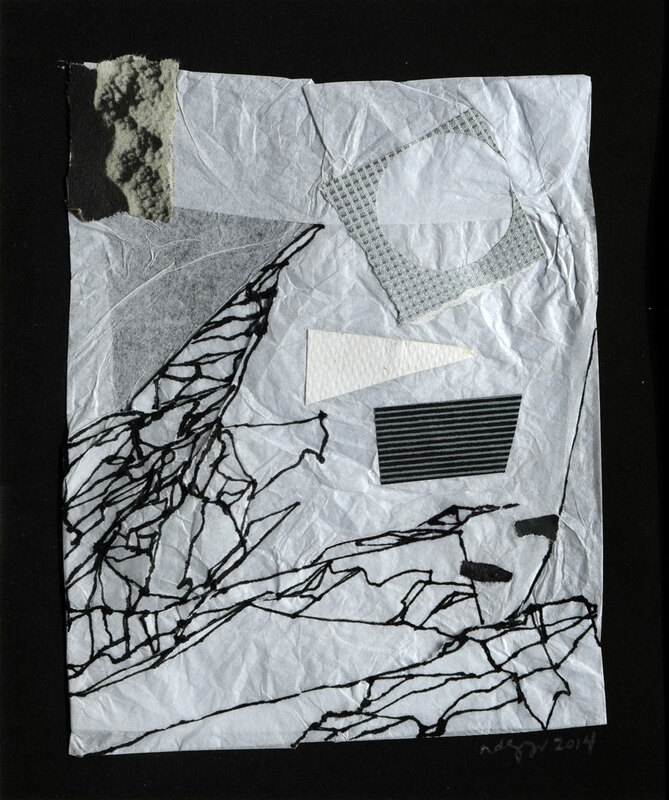 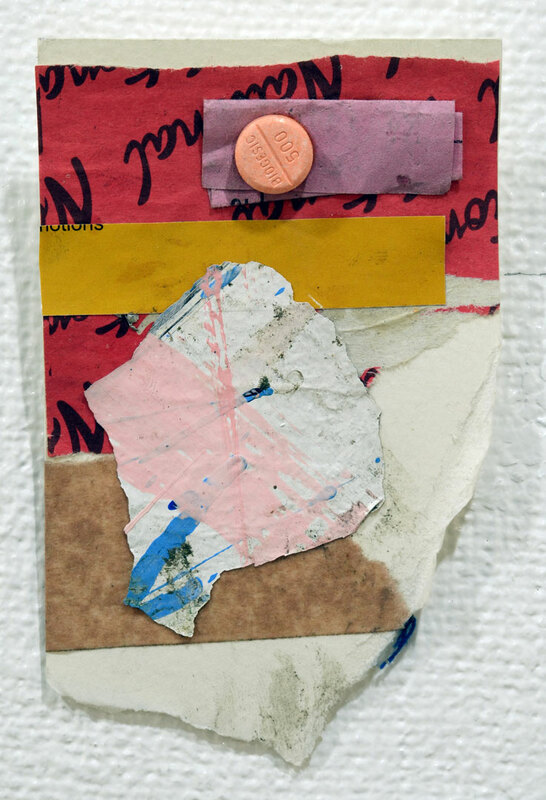 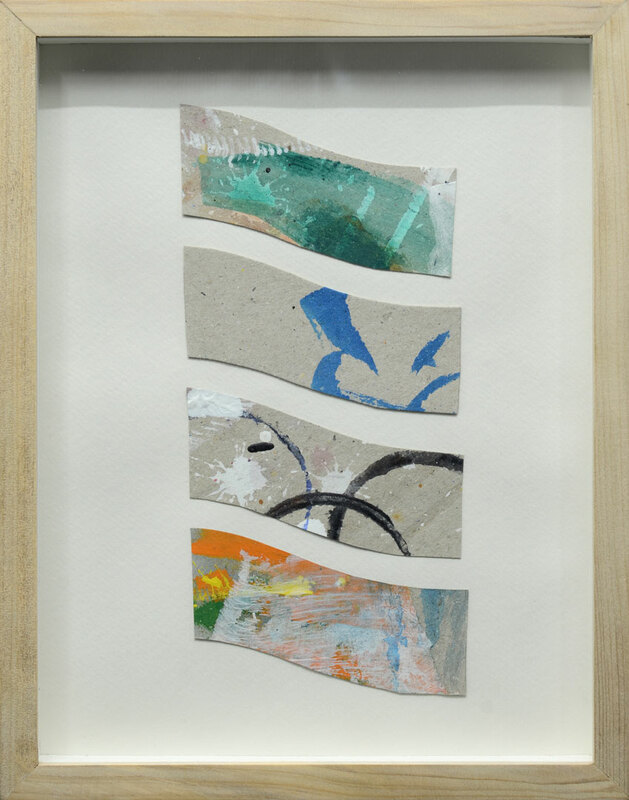 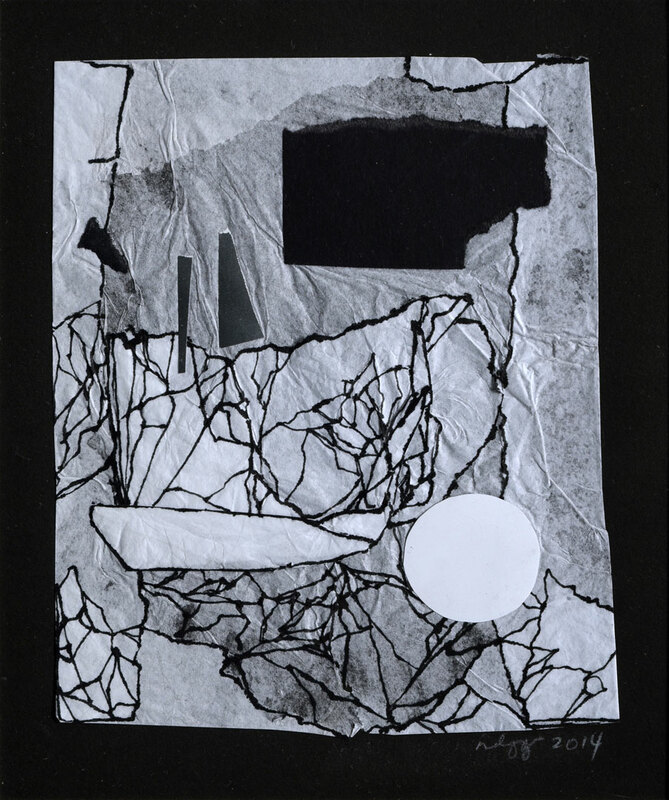 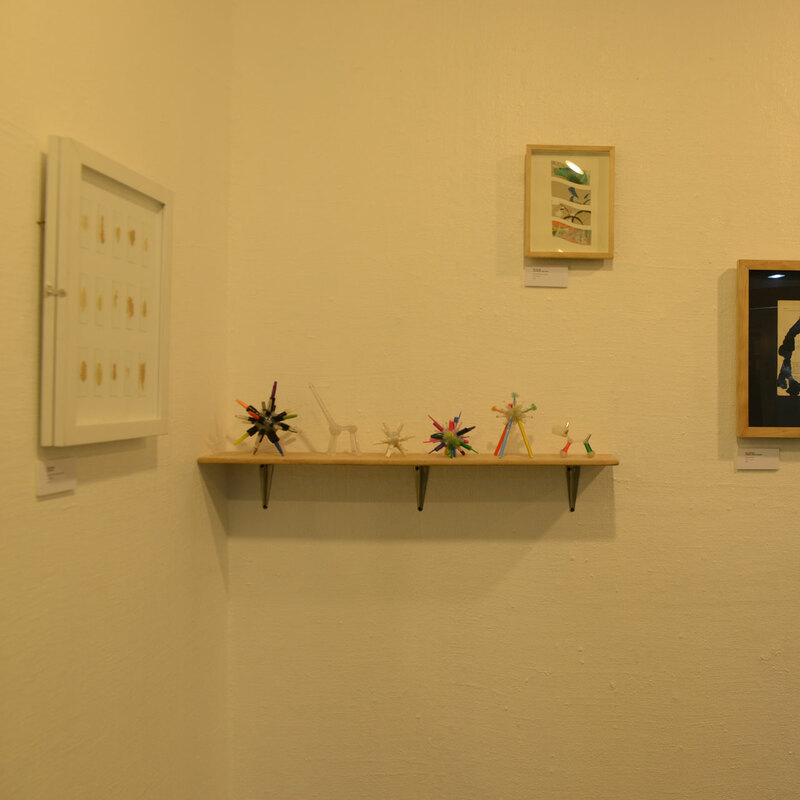 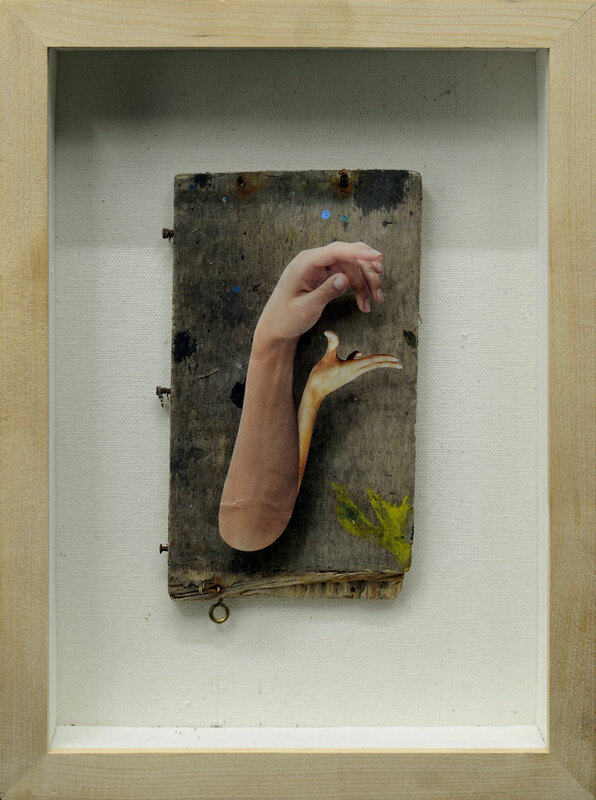 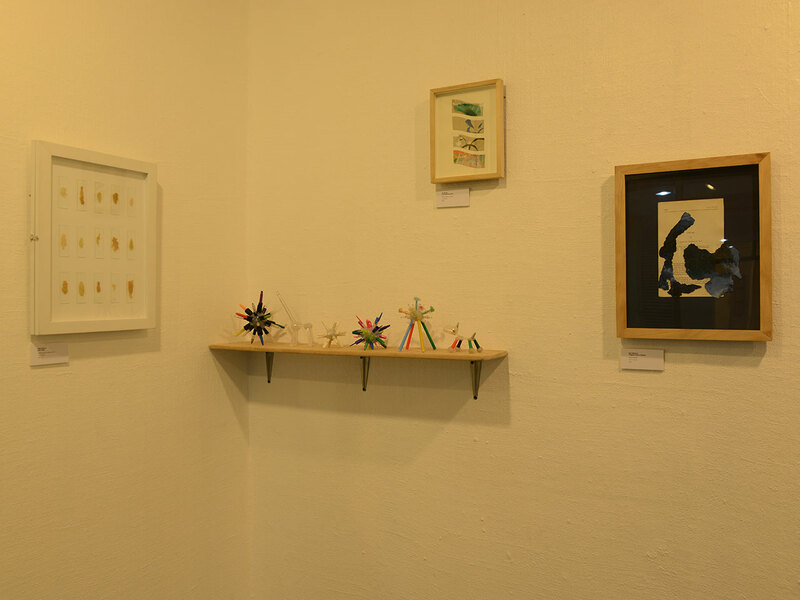 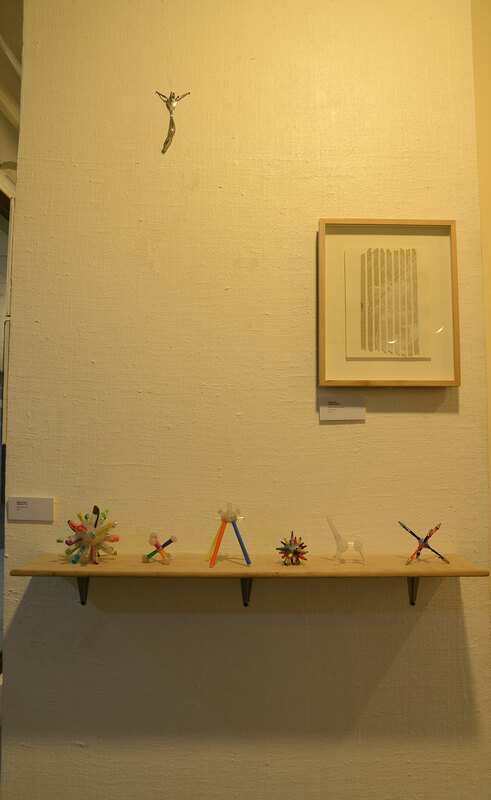 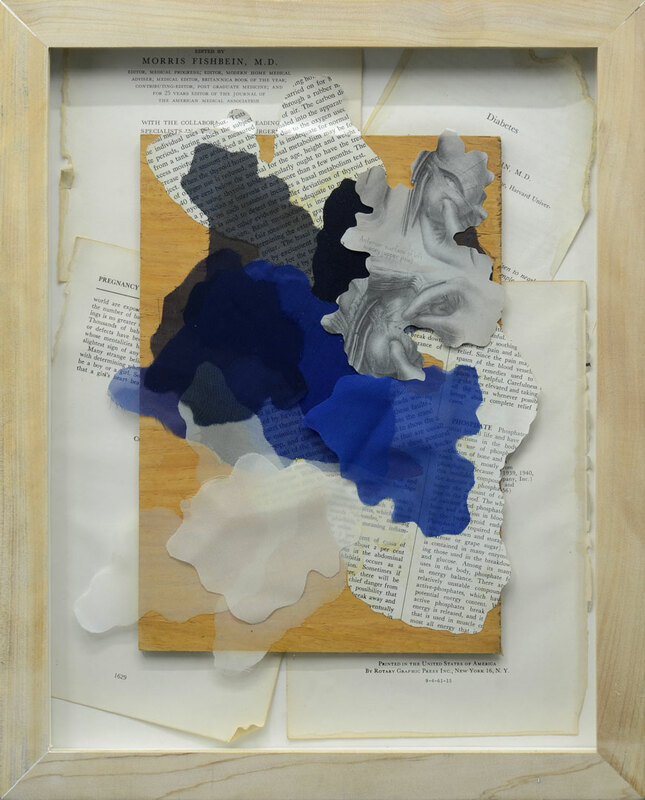 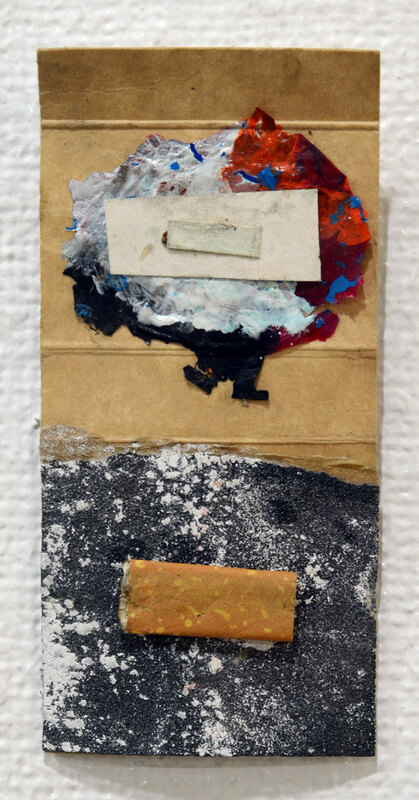 This is seen in the different explorations with the surfaces and structures of found objects and paper-based media. 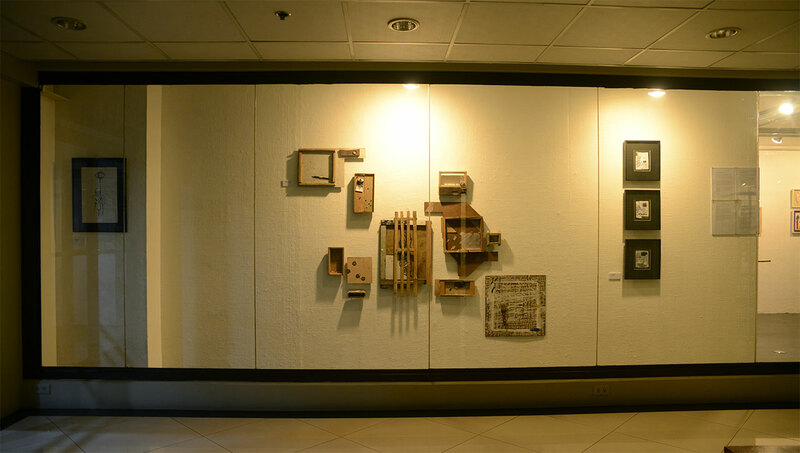 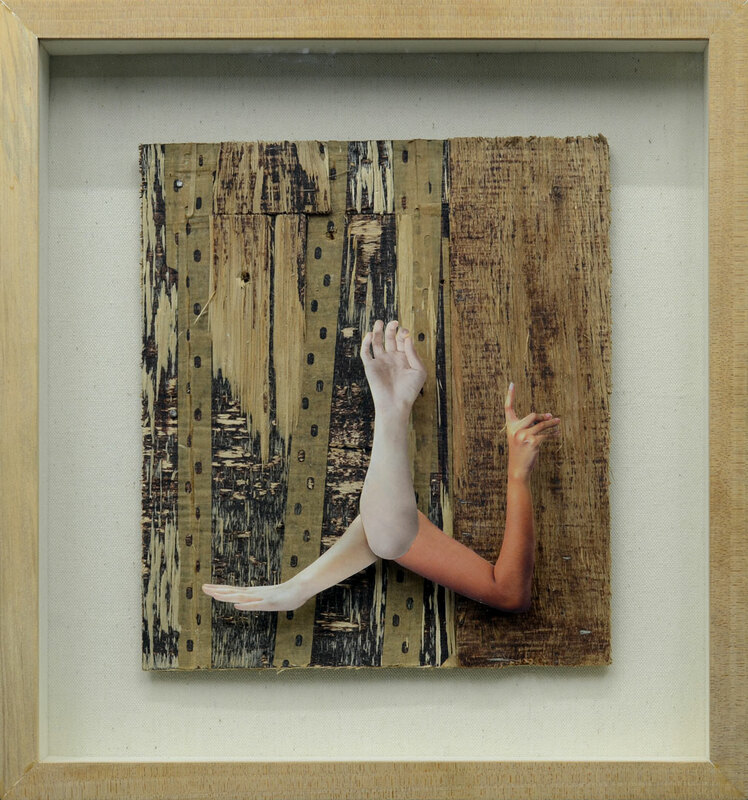 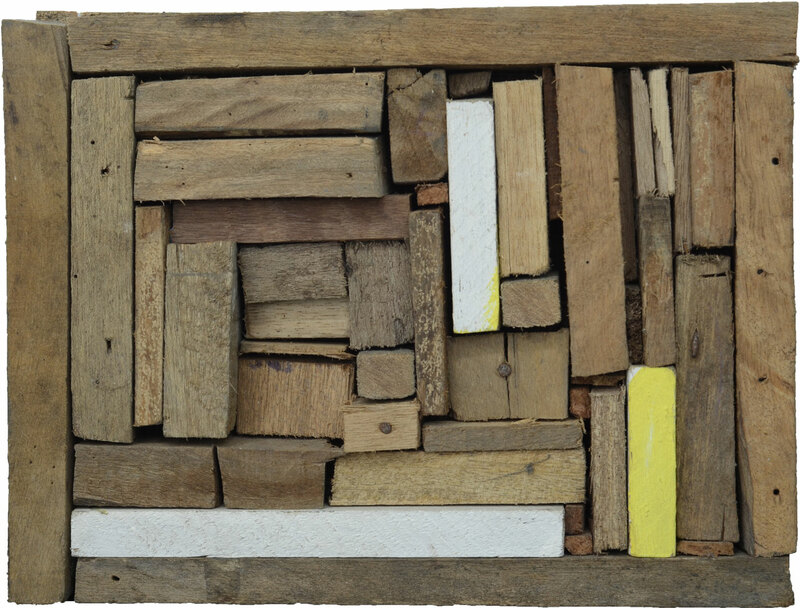 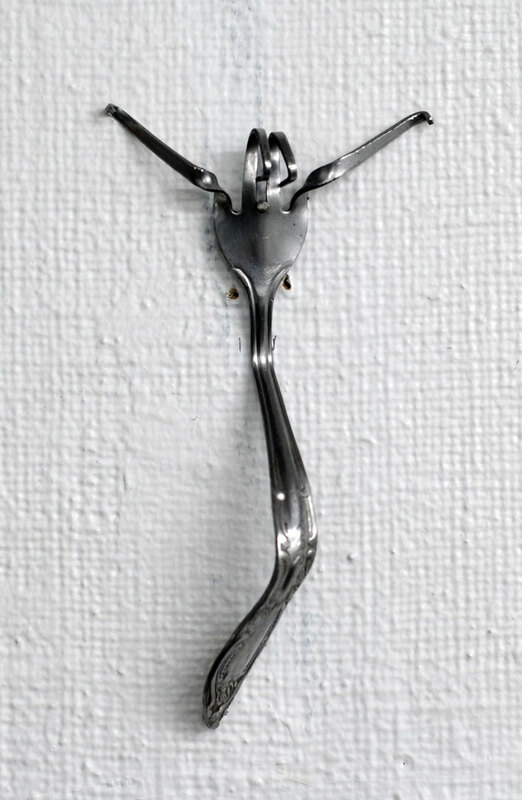 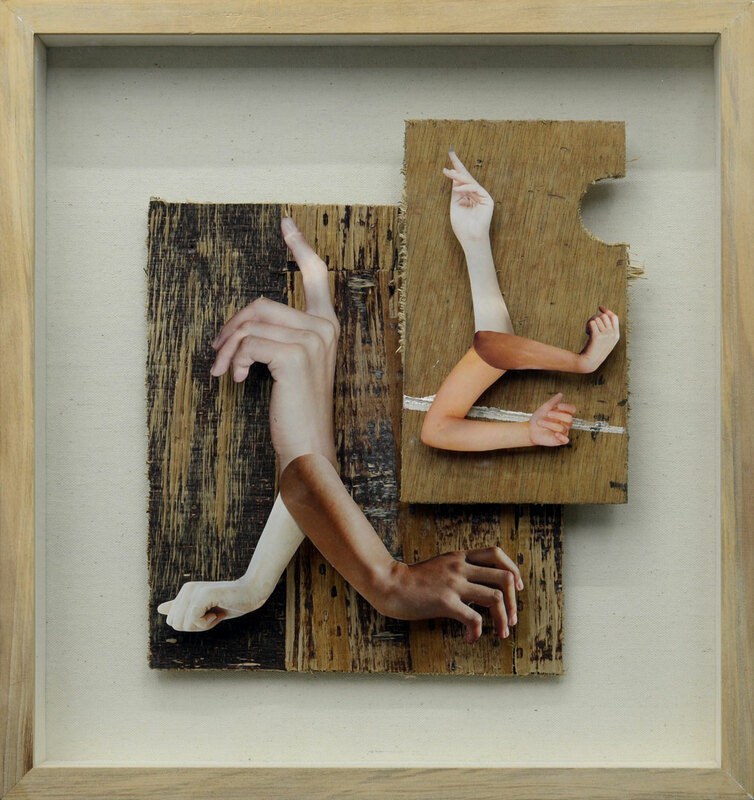 Miguel Puyat and Nathalie Dagmang, for instance, both engage the collage and assemblage as strategies for conveying the personal: the former fuses found objects to construct a self-portrait and the latter deliberately delves into the repetitive motions of cutting, pasting and arranging to create a visual diary. 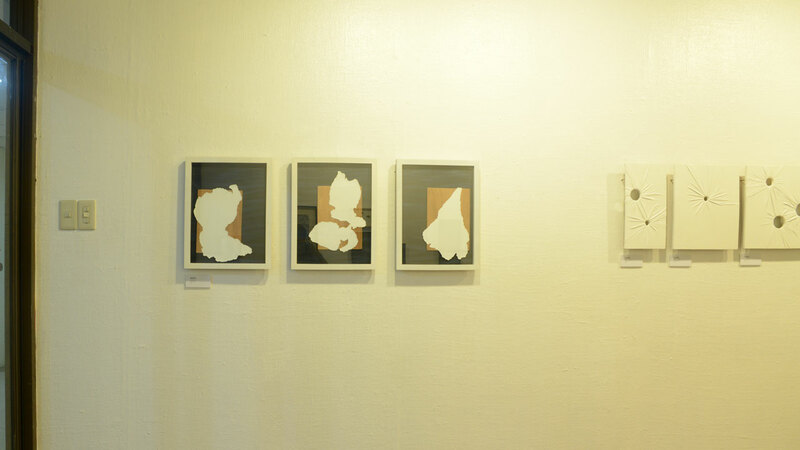 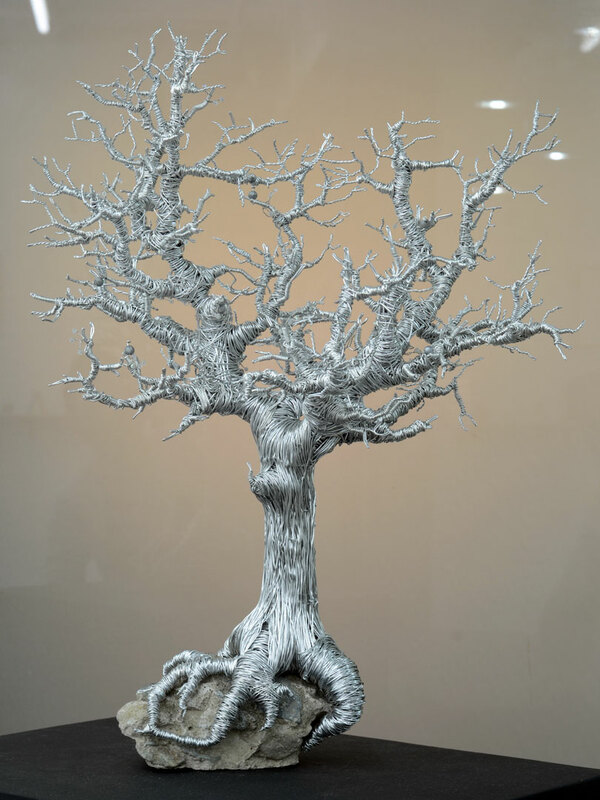 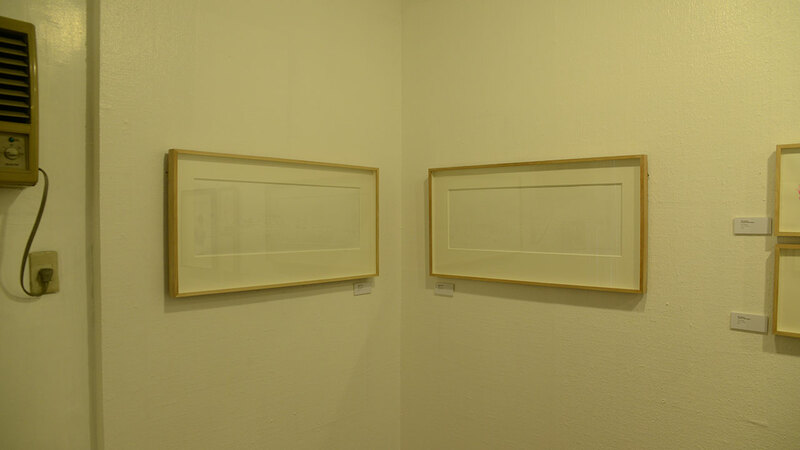 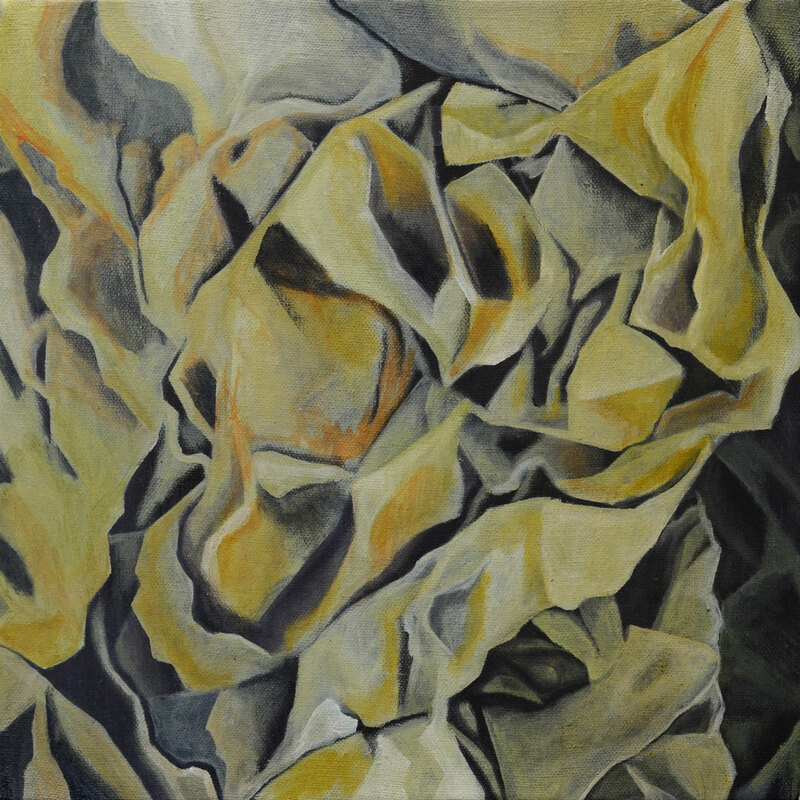 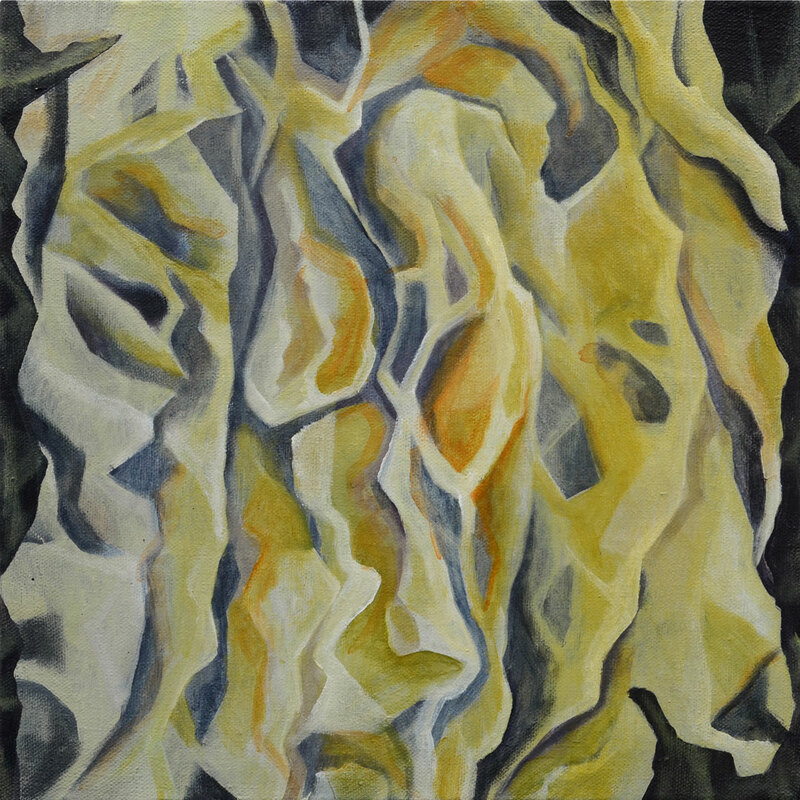 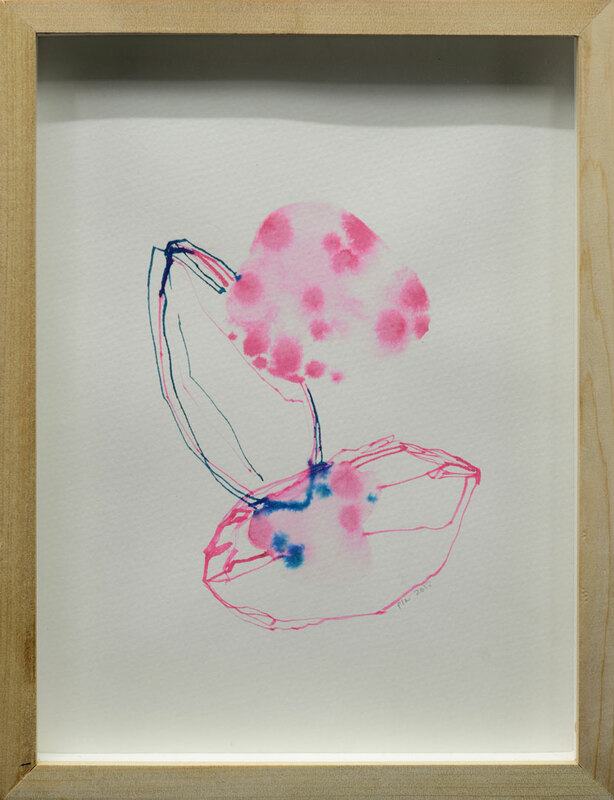 Lastly, many of the works also play with the concept of surface. 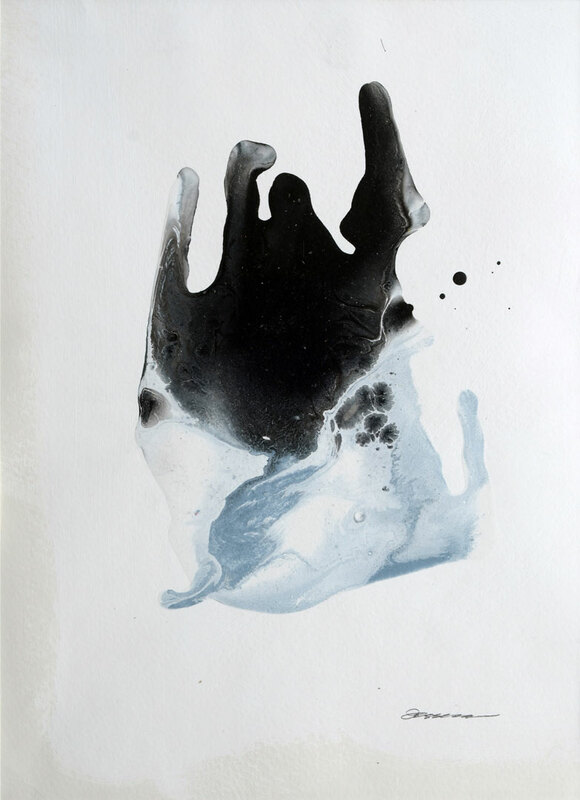 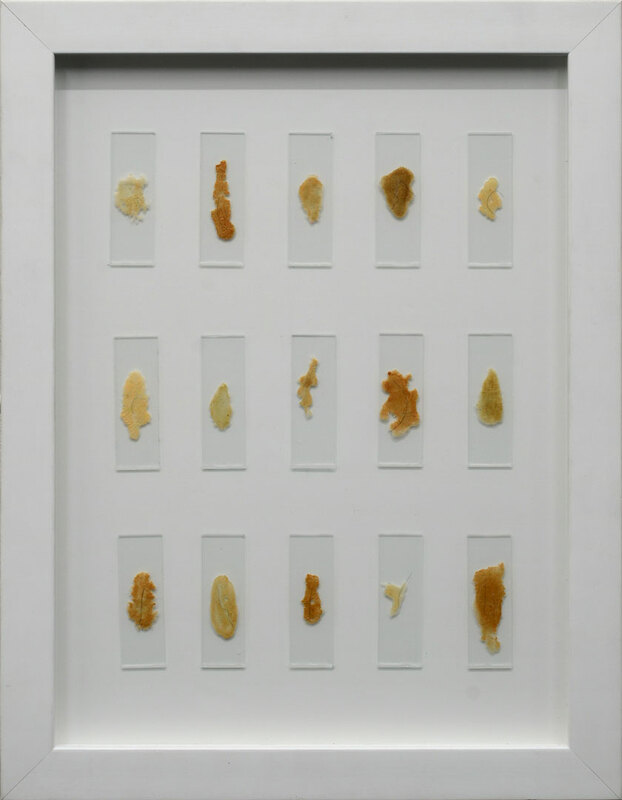 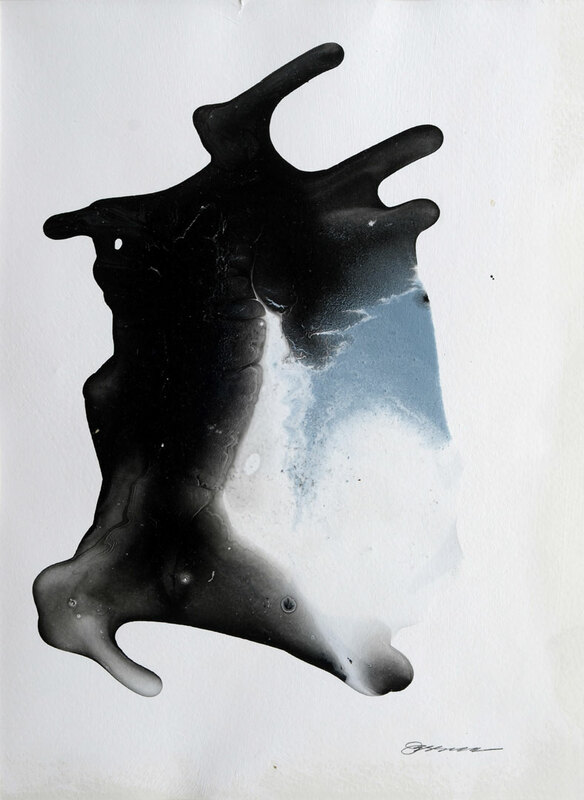 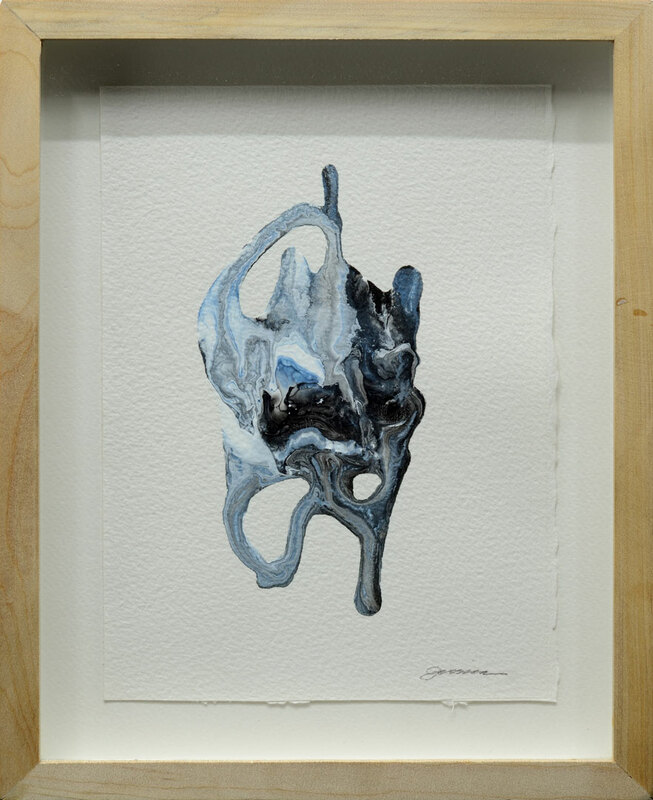 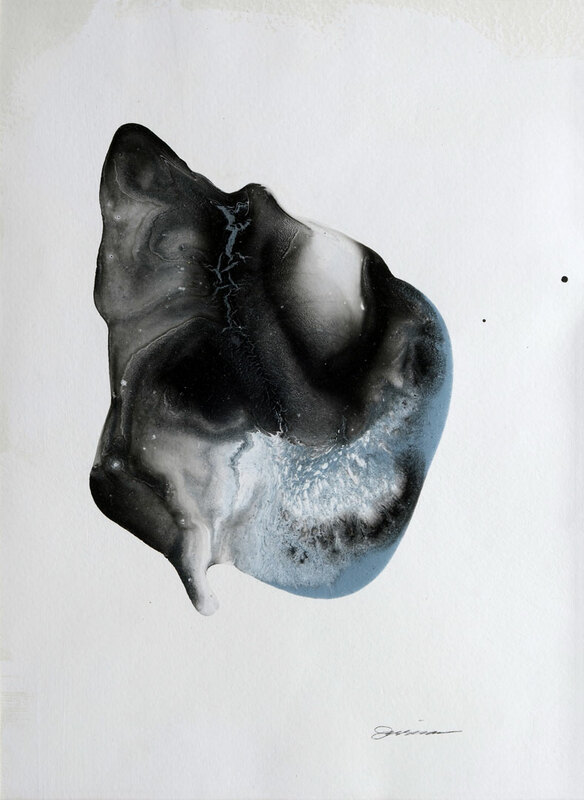 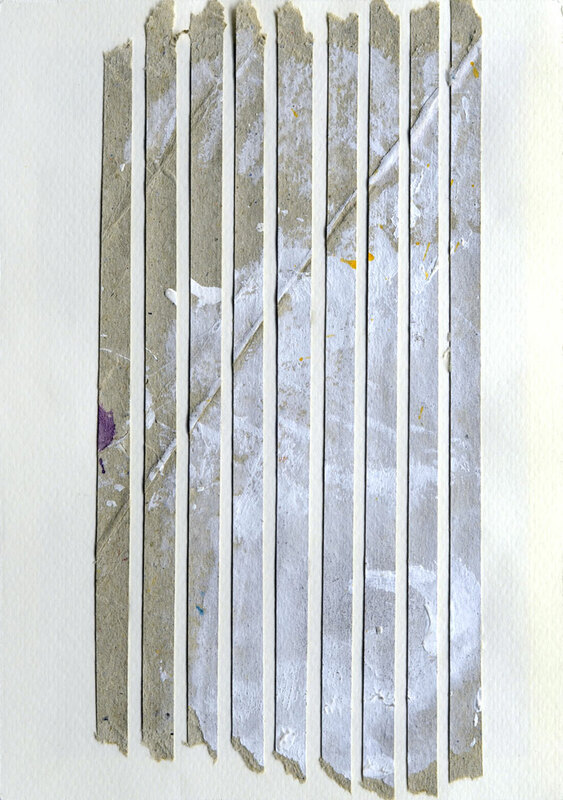 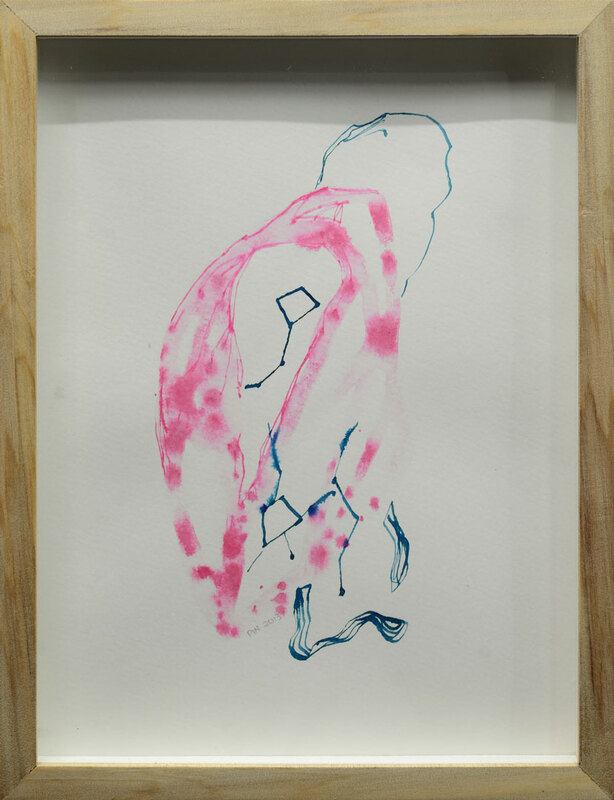 Nicole Tee’s Keeping Score series, dispersed throughout the gallery, is comprised of used chipboard stained with paint drippings, creating works of abstraction from found forms. 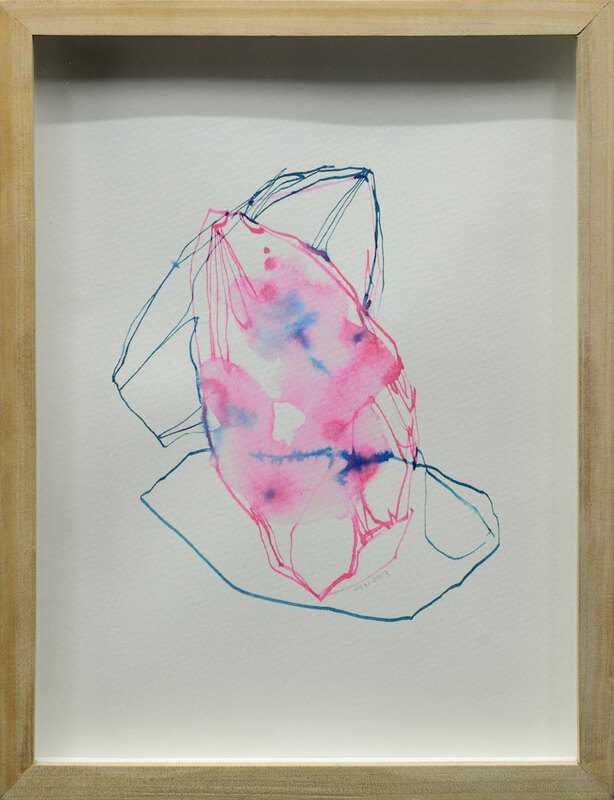 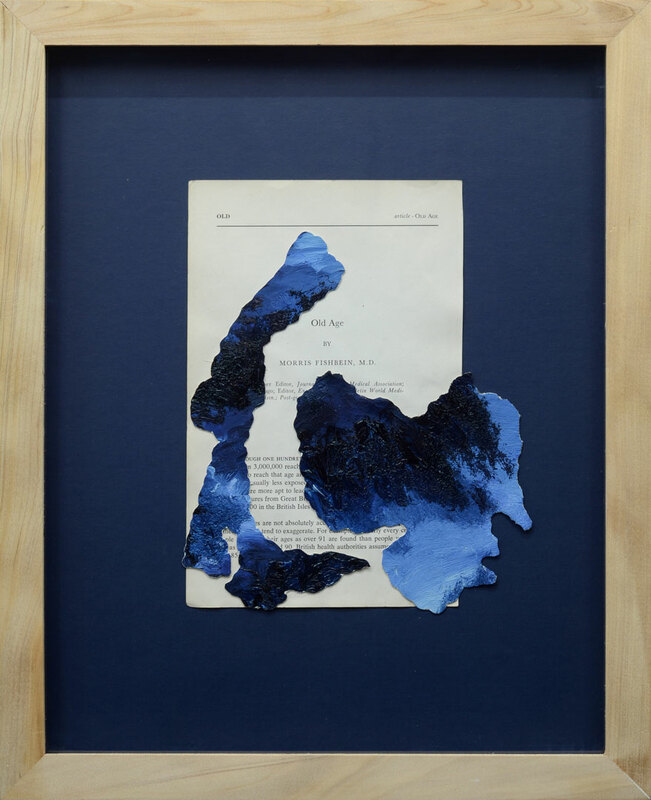 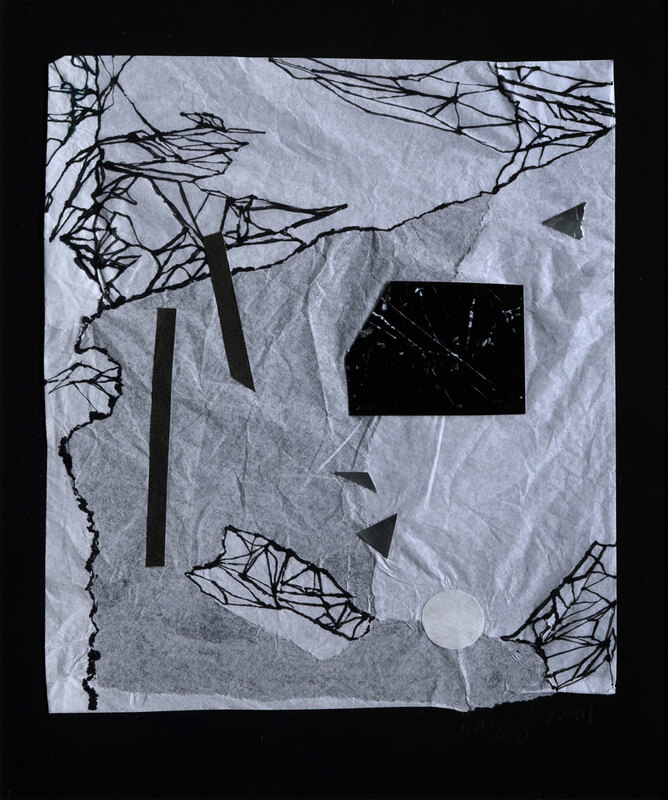 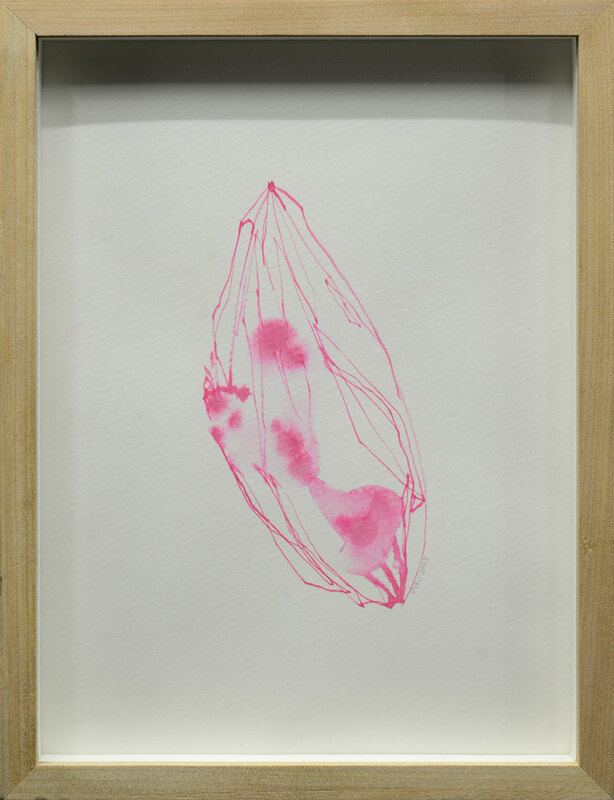 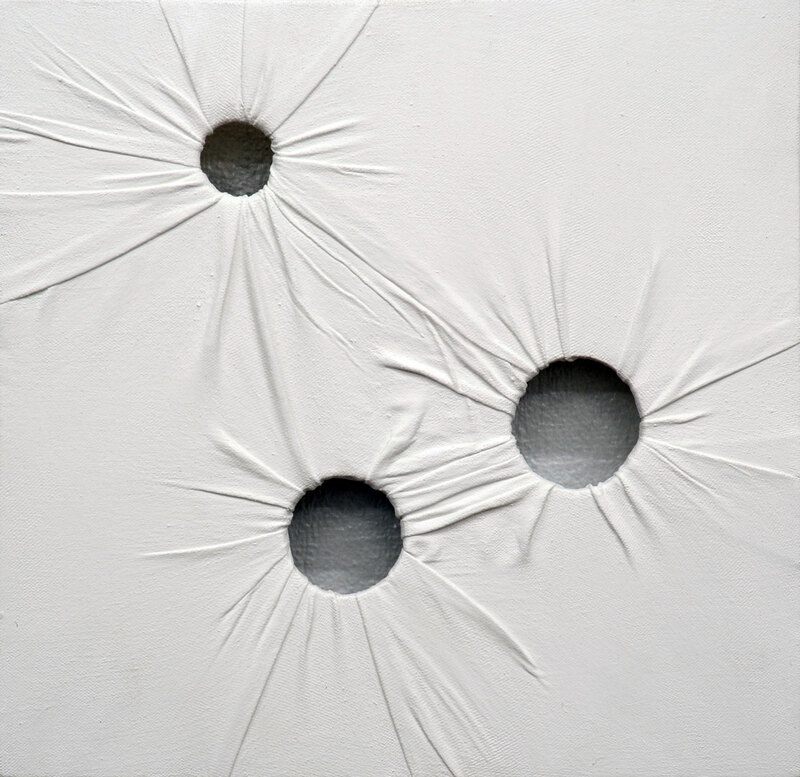 Nilles utilizes accidental imprints of artworks to create mirror images on bound paper, while Indy Paredes explores shaped and cut canvas as skin, where space and void itself becomes part of the work. 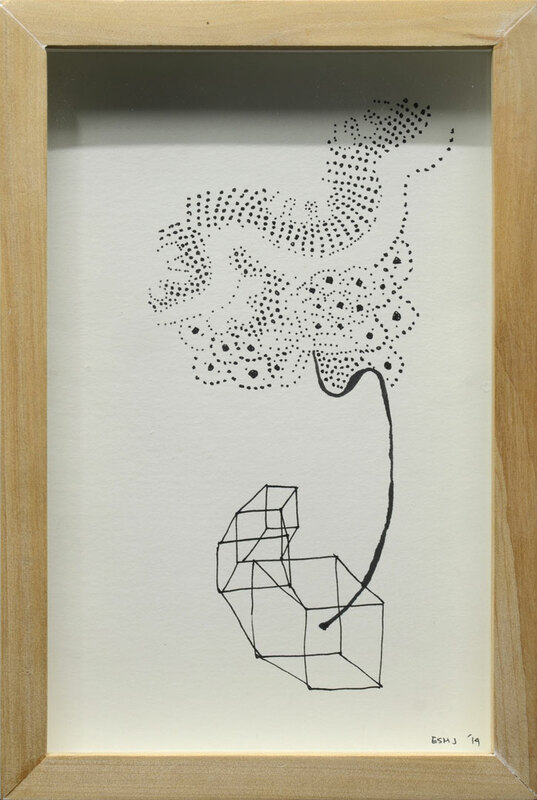 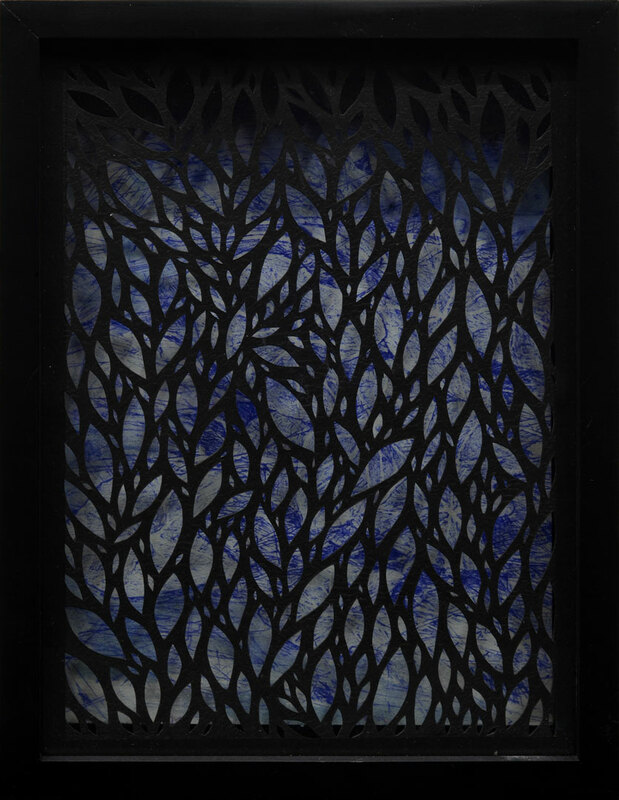 A series by Carzen Esprela similarly plays with space by juxtaposing papercut patterns over drawings. 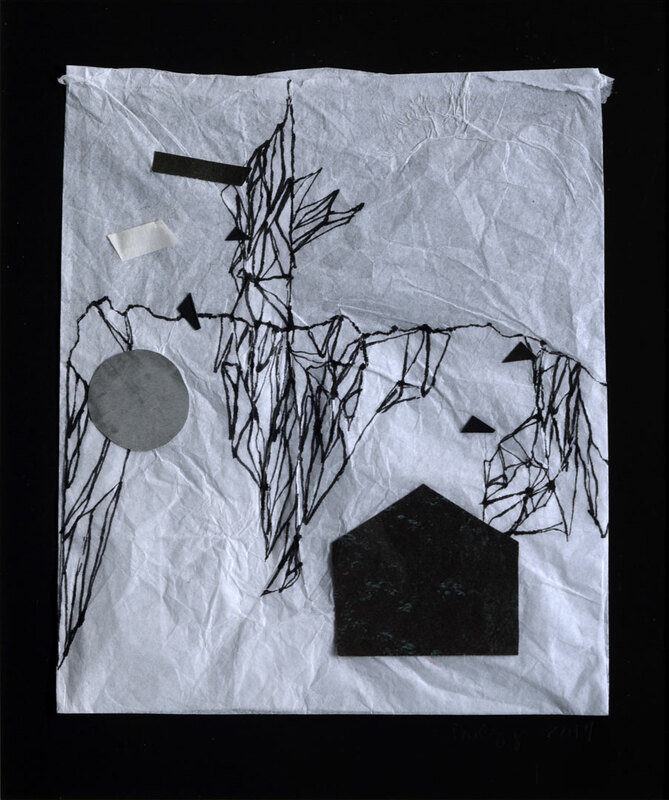 Finally, Ilya Salveron explores the translucent qualities of tracing paper through creating maps of personal geographies. 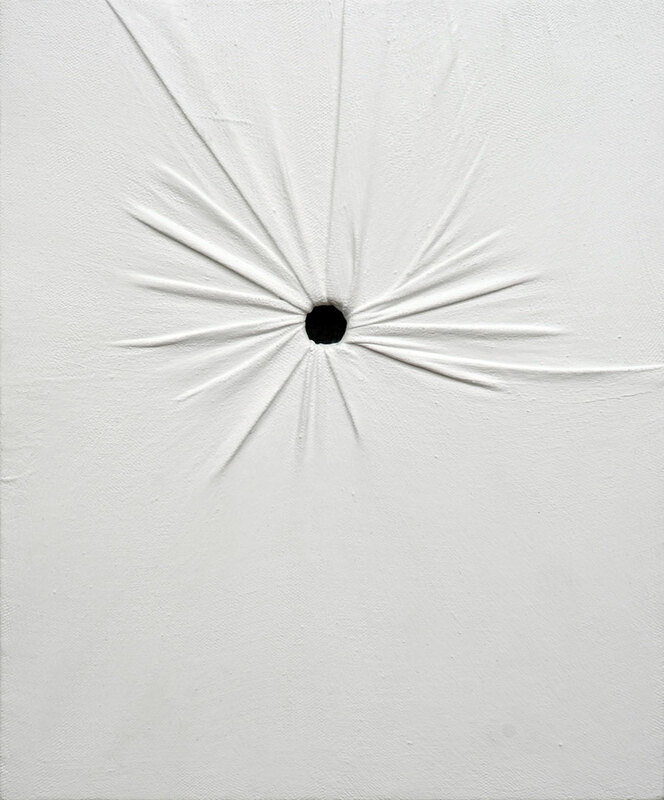 All of the works in the exhibition form a small part of a personal journey, pulled from a larger and still unfolding sequence of creation. 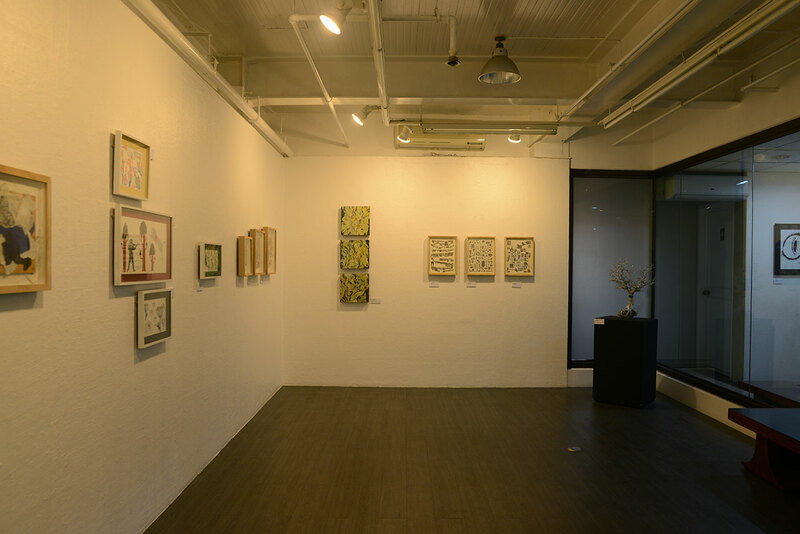 Collectively, the various introspections and musings that they share hint at the larger trajectories that these artists may embark on in the years to come.